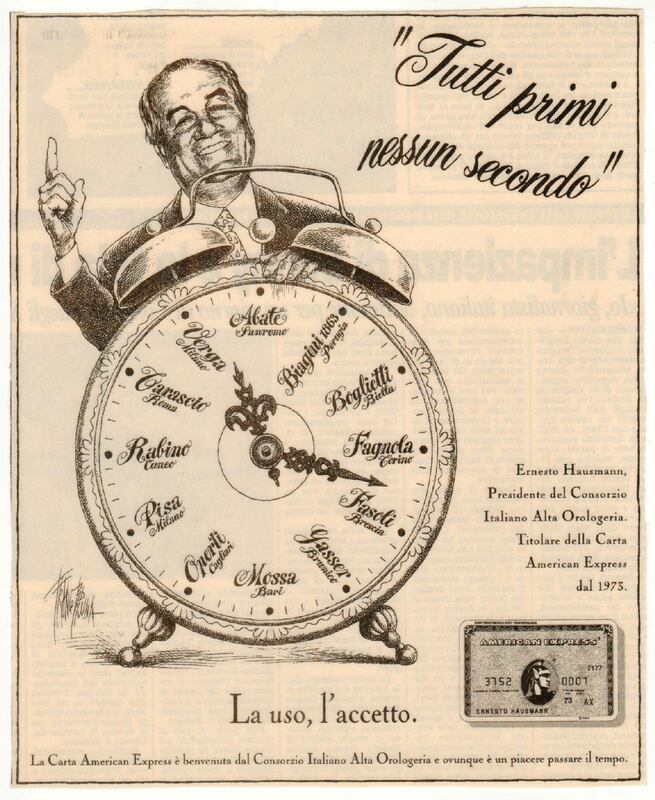 For Hausmann & Co. time is a matter of pride and responsibility. In our design, production, sale and servicing activities, which we carry out every day, we have taken a long term approach, starting from that watch shop that first opened in 1794. Those who turn to Hausmann & Co.to buy a watch, whether it bears our label or that of one of the great Watchmaking firms we represent, or want a pieces of our jewellery collection made to measure, or need the services of our workshops, discover that those years haven’t been lost, they have taught us the best way of approaching the future. Because each year that passes fuels our pride and our desire to offer simply the best, without compromise. 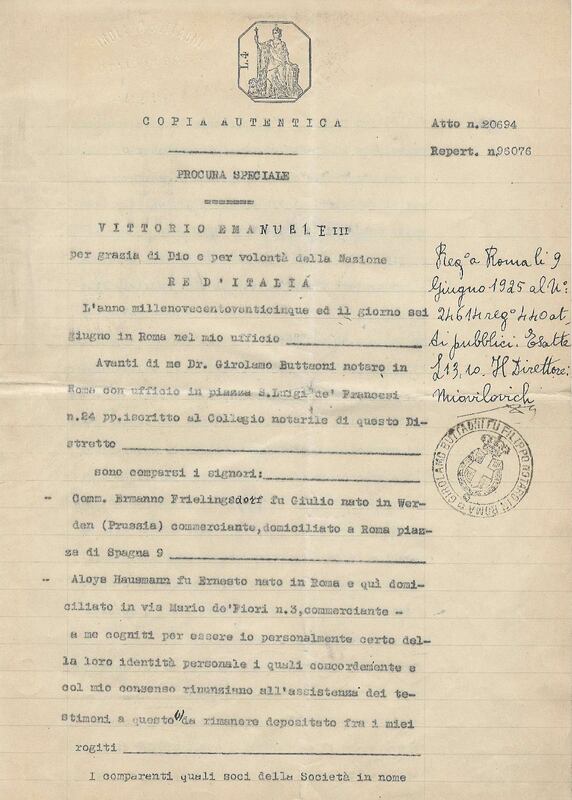 The famous aviator Francesco Baracca dies in battle whilst wearing a Hausmann & Co wristwatch. 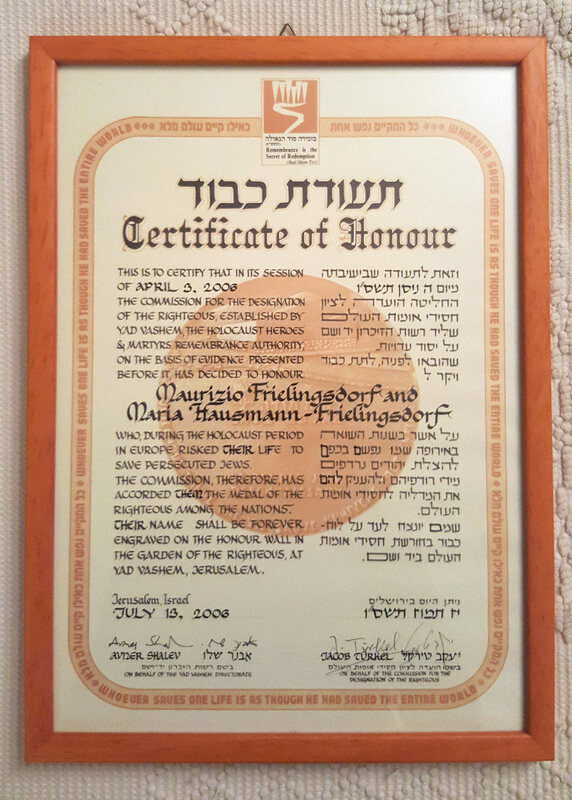 Maurizio Frielingsdorf and Anna Hausmann hide a Jewish family, saving them from Nazi persecutions and earning them the title of Righteous among the Nations. 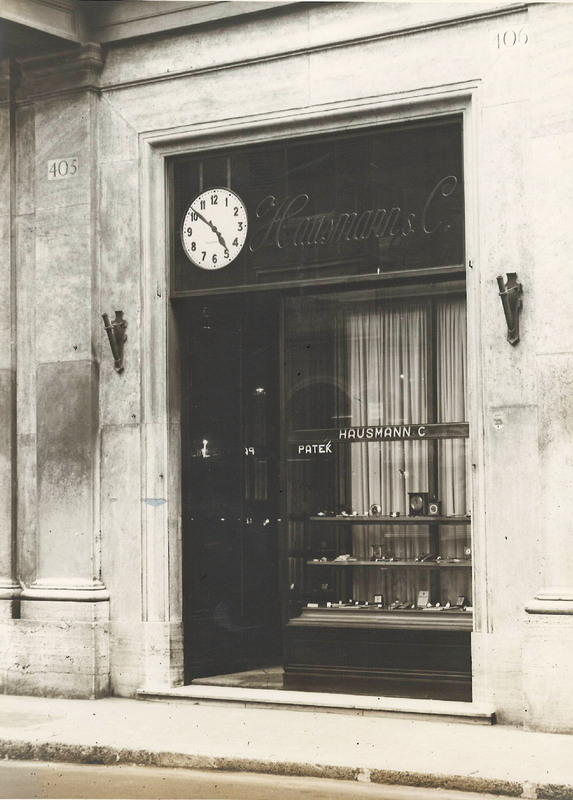 The elegant new boutique in Via del Babuino presents the jewelery collection signed Hausmann & Co.
Hausmann & Co. was initiated in 1794 out of the workshop which had been started by Giovanni Romano Ricci at Palazzo Piombino in Piazza Colonna. 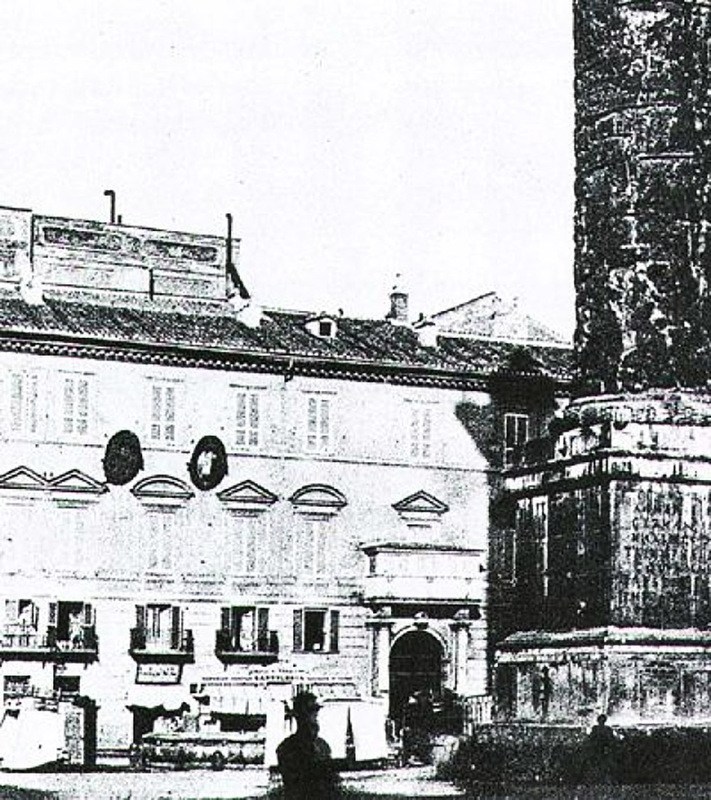 Piazza Colonna, a central meeting point in Papal Rome, was a prestigious venue for the Ricci workshop. Its fame grew rapidly, in just a few years in fact. 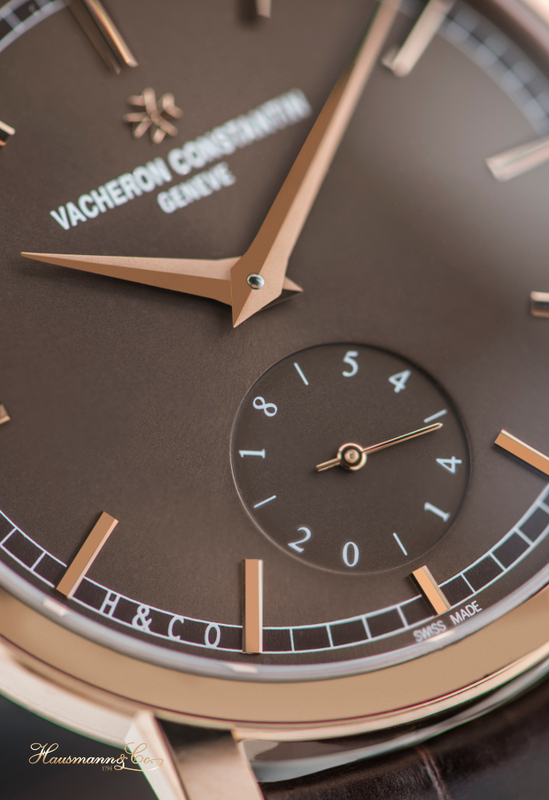 It was a good time for watchmakers as it was becoming increasingly more common to own and wear a watch. Success was immediate for Hausmann and Co. 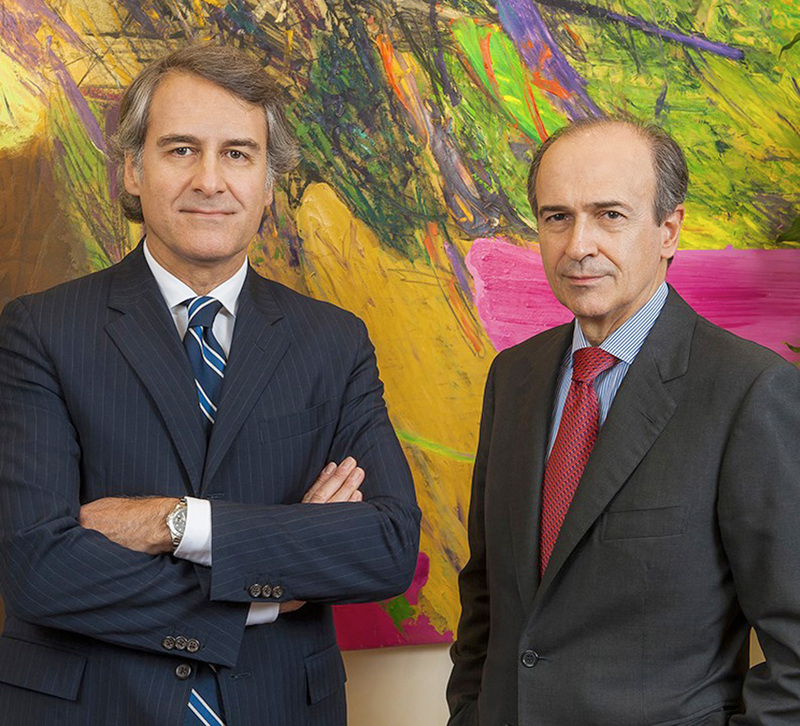 The descendants of the Hausmann and Frielingsdorf families, owners of the Hausmann & Co. company, go back to the Austrian painter Joseph Anton Koch. At the beginning of the nineteenth century he established his residence in Rome, entering the circle of German-speaking artists and intellectuals, Deutsch-Römer. 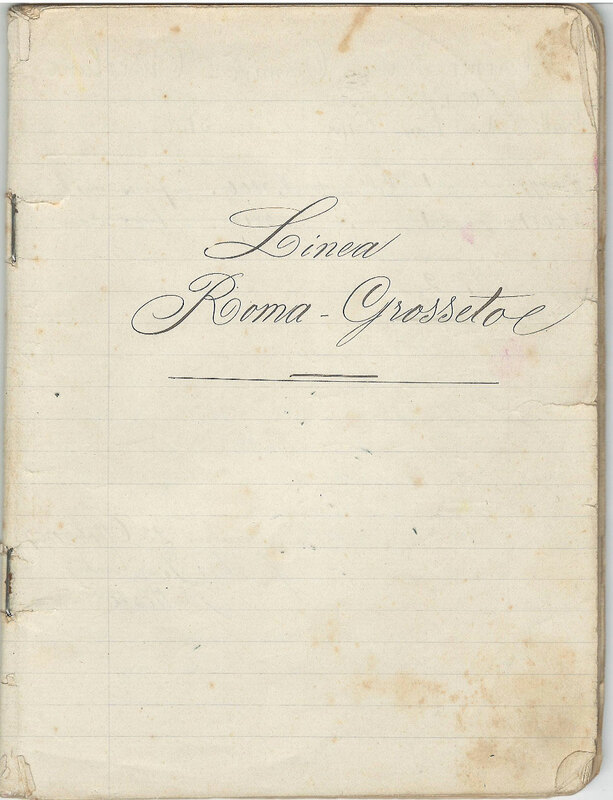 The Club’s favourite meeting point was the Caffè Greco in via Condotti, a famous and still existing Roman restaurant, in which the dominant language at the time, was German. 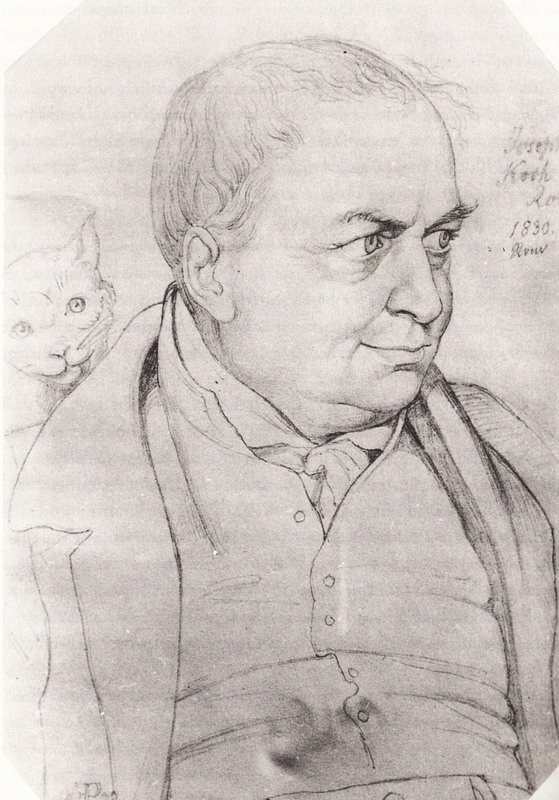 Koch is one of the few foreign artists who made Italy his homeland, meeting his wife and establishing himself in Italy until his death in Rome in 1839. 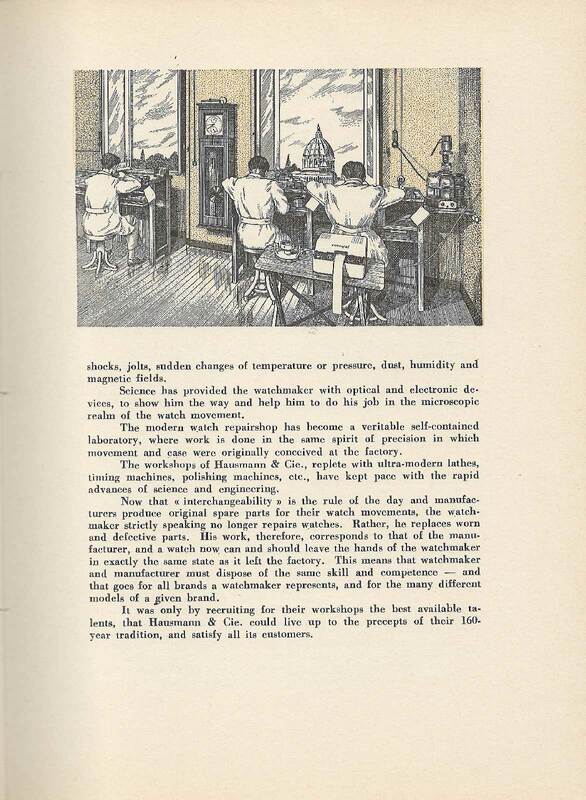 Watchmaking was not yet an industry, but a craft activity in the true meaning of the term. 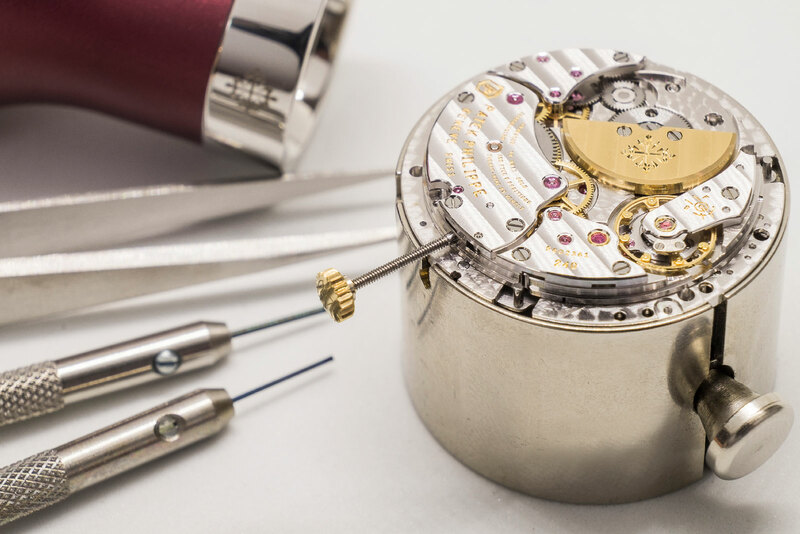 The individual components of the watches were made and repaired by hand, with the aid of tools and machinery often designed and built in the Swiss valleys. 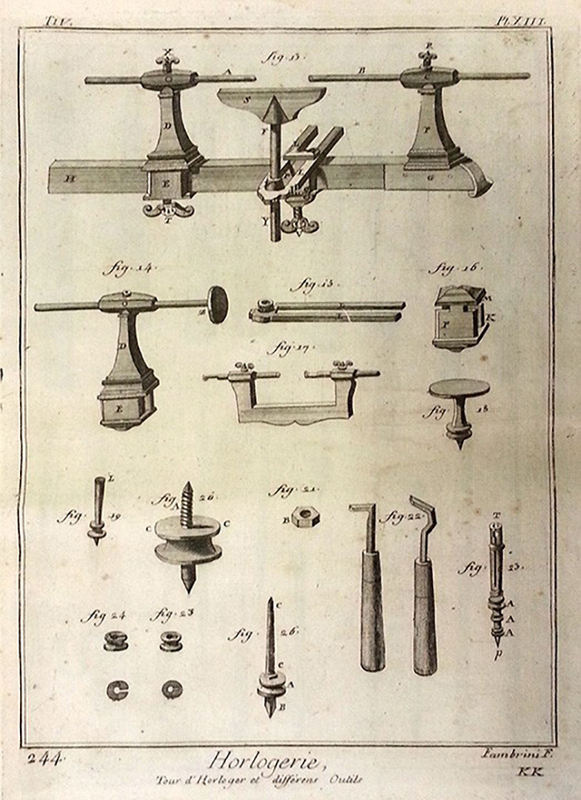 Innocenzo Ricci soon became a maestro in this field and was renowned for his skills in creating and repairing the delicate mechanisms of watches. His workmanship became a benchmark of excellence for both high nobility and for the Clergy. 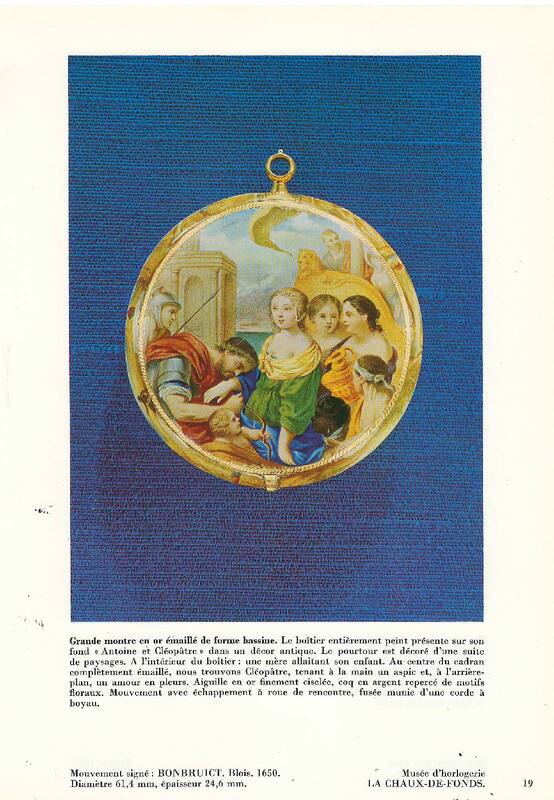 In 1854 the Roman watchmaker Innocenzo Ricci bought a pocket watch produced by Vacheron & Constantin. 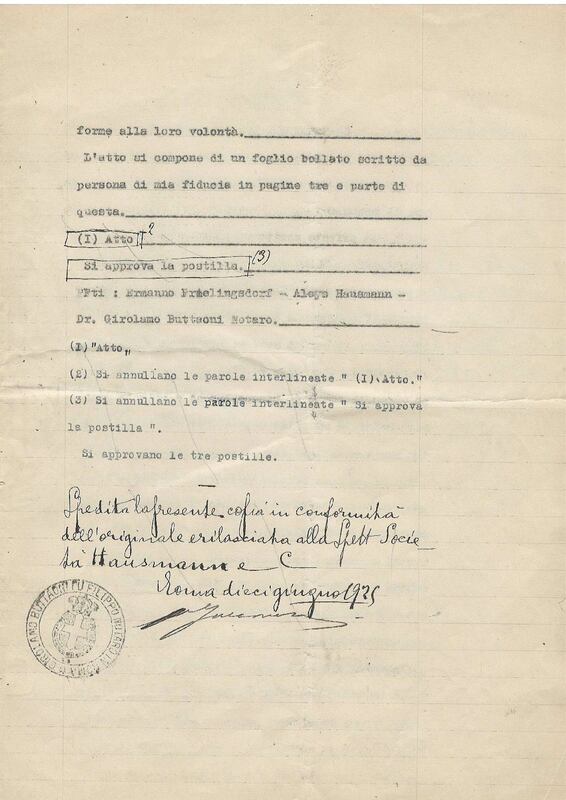 This purchase began Hausmann & Co’s. 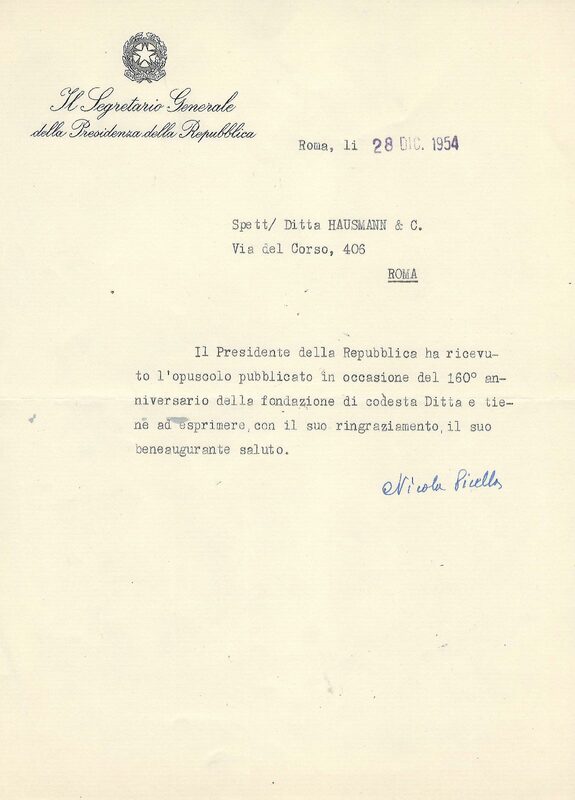 longest ever concession with the House of Geneva. In 2014, 160 years of this historic collaboration were celebrated with the design of a Traditional Patrimony Watch which was produced in a limited edition of 16 copies and with an exhibition-event of vintage watches from the private Vacheron Constantin collection. 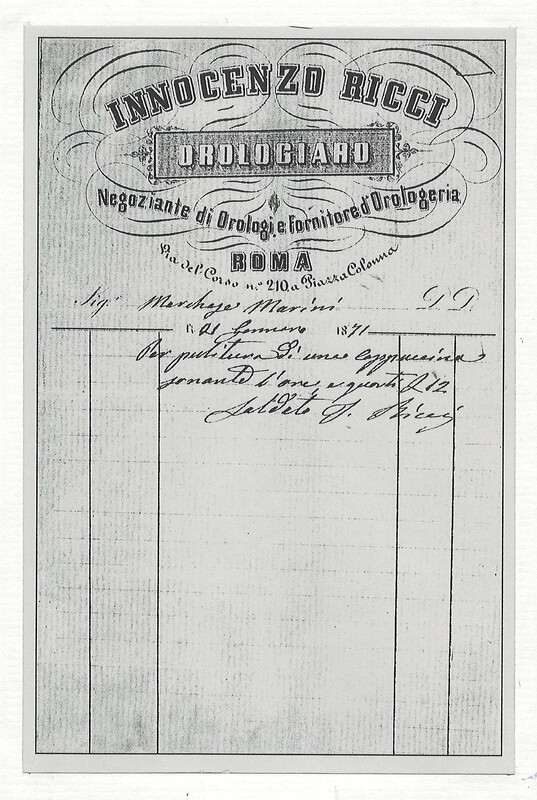 A receipt "For the cleaning of a cappuccina sonante l'ora", (a chiming timepiece) owned by Mr. Marchese Marini, dated 1871. 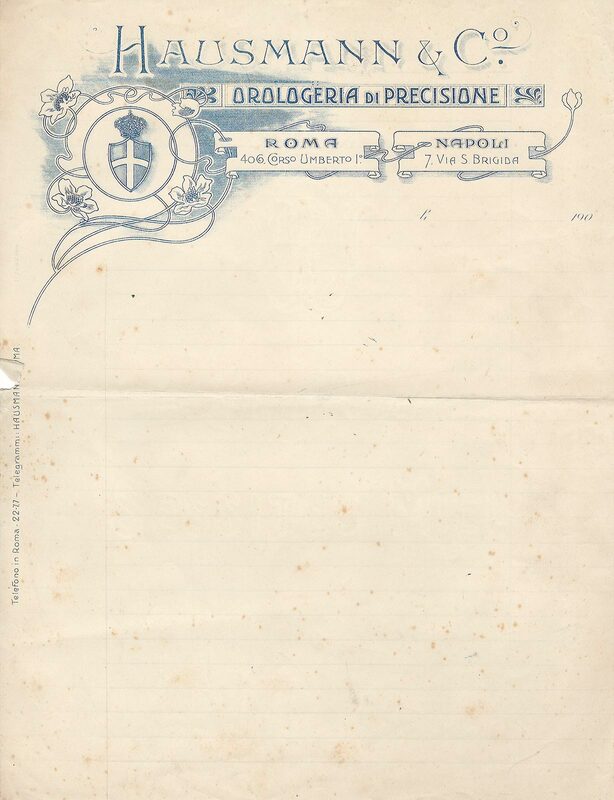 This is the first paper trail kept in the Hausmann & Co. archives, and the only one dating back to the time of Innocenzo Ricci. 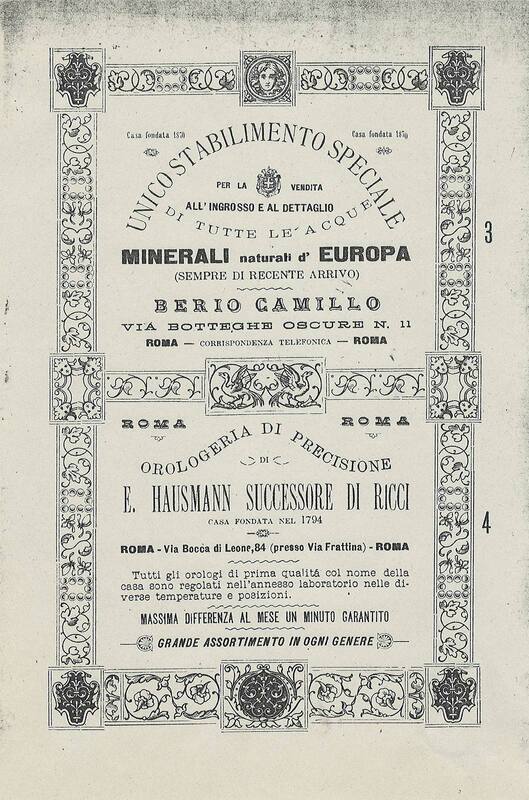 In 1881 the Ricci company was taken over by Ernst Hausmann. 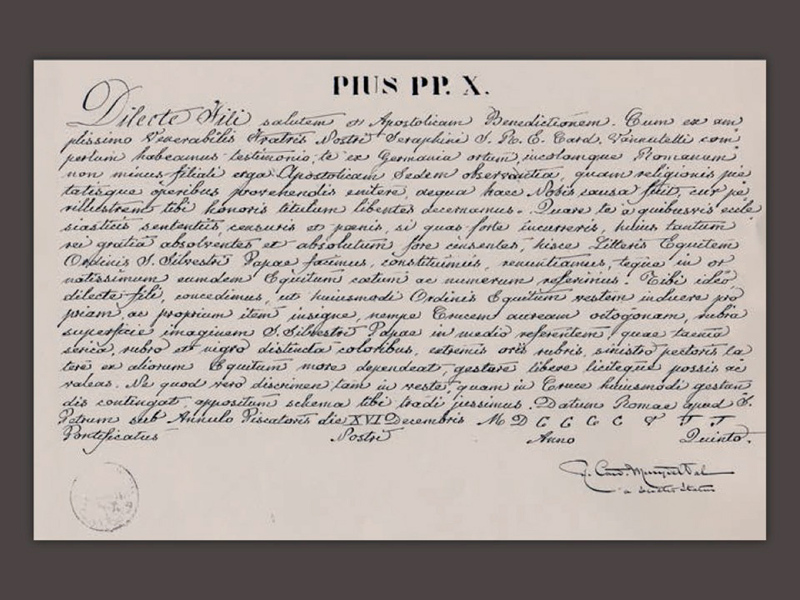 The notary deed of the time recorded the "Sale of the shop for clockmaking use" for 20,000 lire. Ernst was the right man for the new era of watchmaking: his name made the watchmaker newly fashionable. 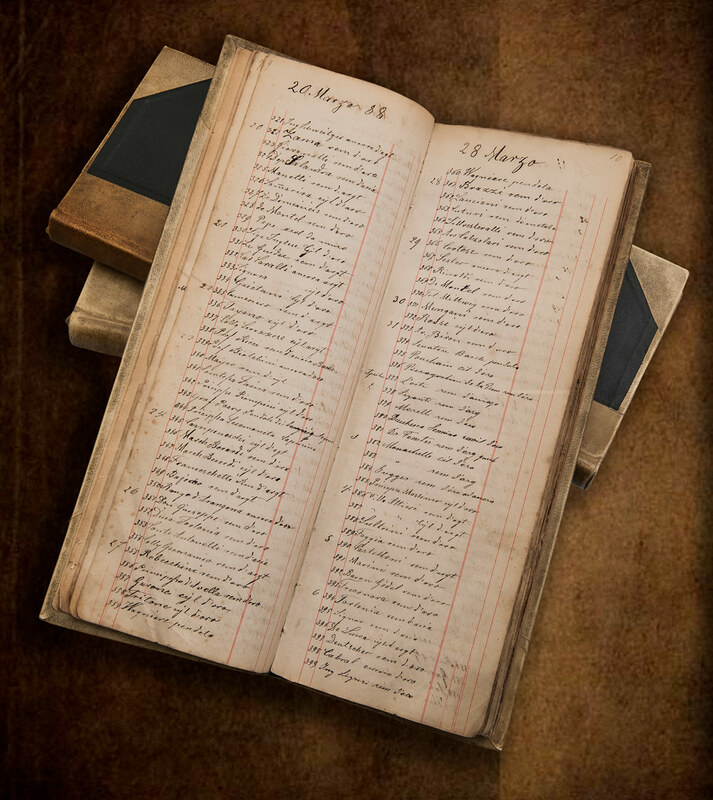 An example of a strong relationship with the Saxon House Lange - Söhne can be seen in Ernst Hausmann's German written note and accounting book. 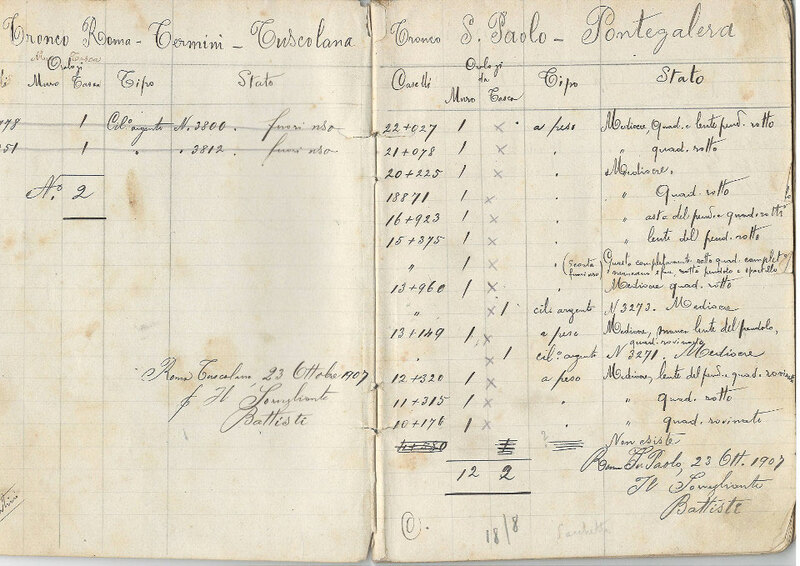 In this book, he kept track of activities, purchases of watches and spare parts. 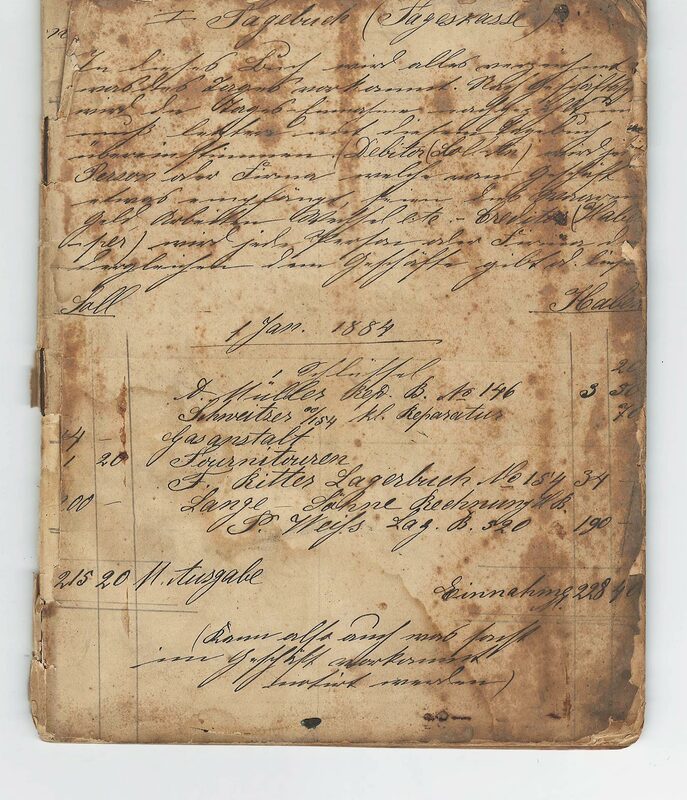 There, in beautiful calligraphy, an invoice was made by Ernst Hausmann to the Saxon House Lange - Söhne to the value of 200 lire. 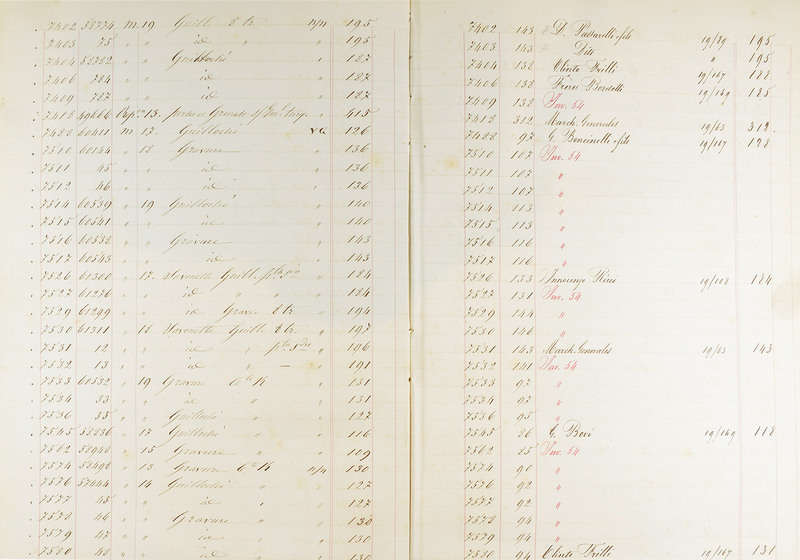 In the Company's archives there are registers that show all the repairs carried out from 1888. Many illustrious names were handwritten in very elegant calligraphy. 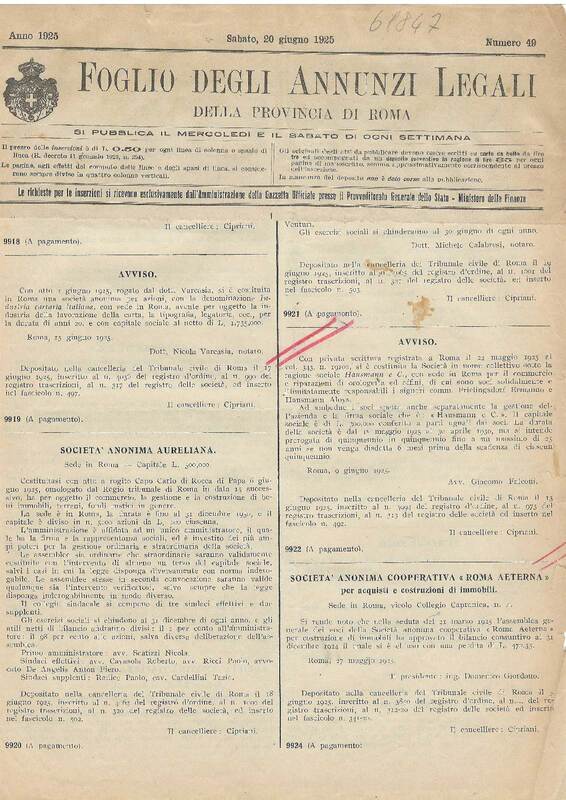 Among them are Sidney Sonnino (future Foreign Minister and Head of Government), Urbano Rattazzi, Cesare Pascarella and Her Majesty Queen Margherita of Savoy, as well as more than one President of the Italian Republic. 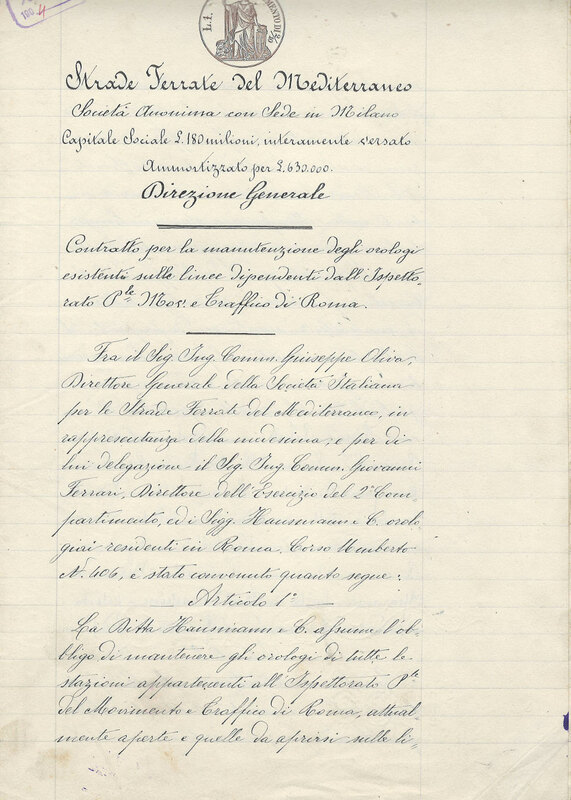 In 1889 the headquarters of the shop were moved from Palazzo Piombino, a historic site in Piazza Colonna, to a temporary office in via Bocca di Leone. 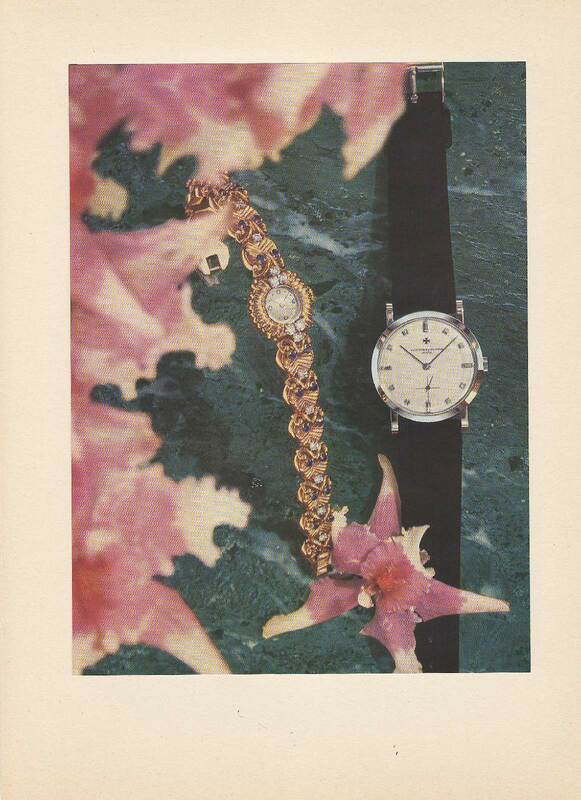 An advertisement of the time shows that commercial watches were already available with the Hausmann brand shown on the dial. 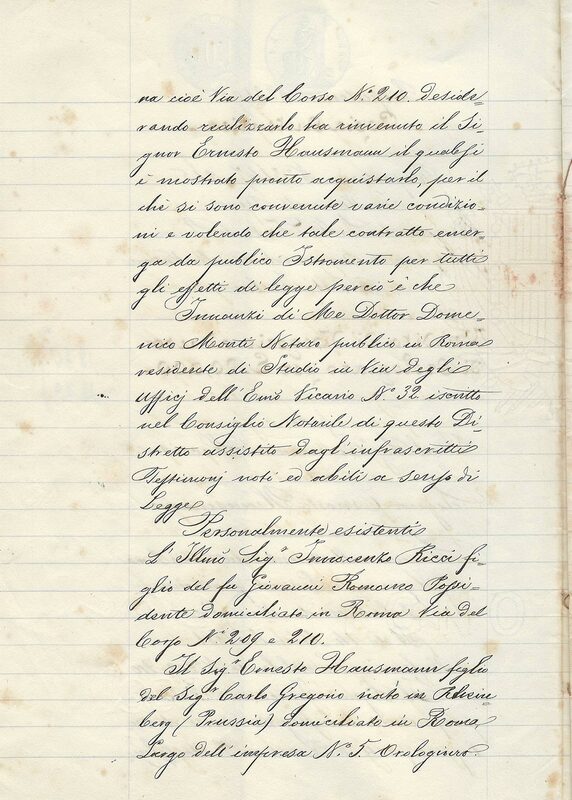 A year later, in 1890, the store's headquarters moved definitively to the current address of Via del Corso, 406. 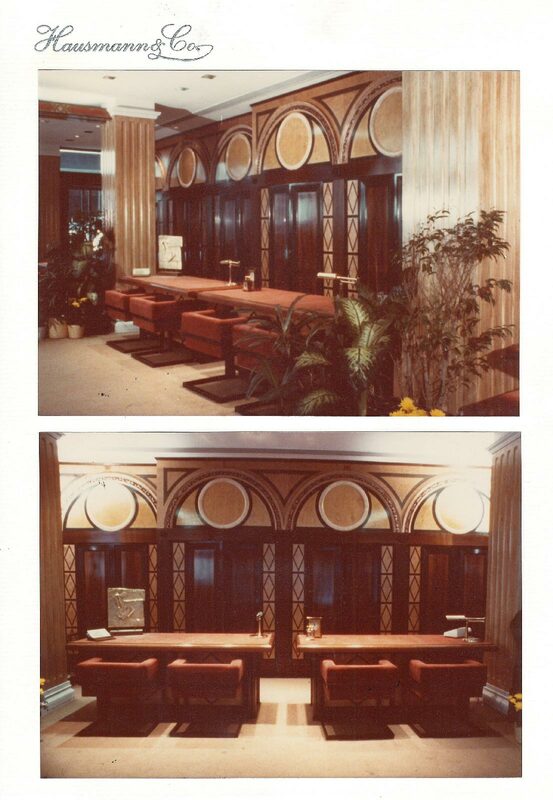 Still today, you can find many original wall decorations and pieces of furniture there. 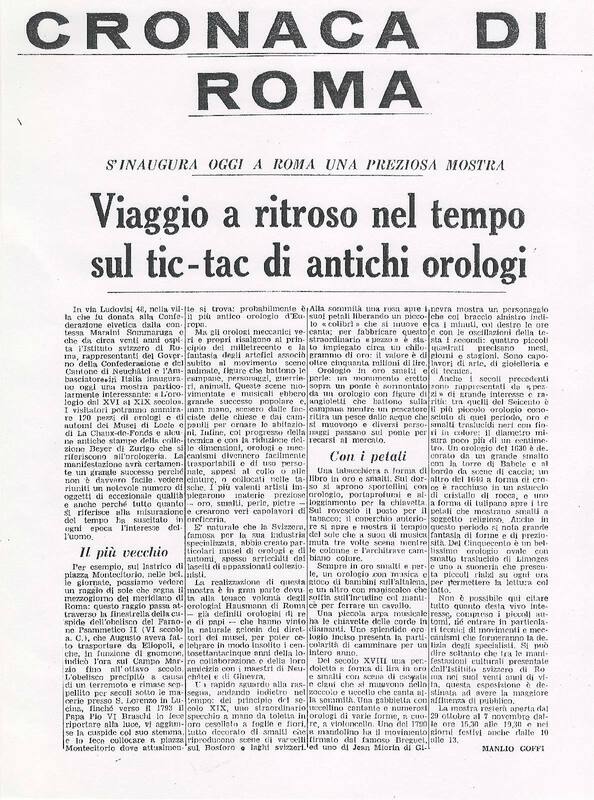 During the construction of the Banca Nazionale headquarters, designed by the architect Gaetano Koch from which it takes its name, Hausmann & Co. is asked to supply the clocks and watches for the building and its workers. 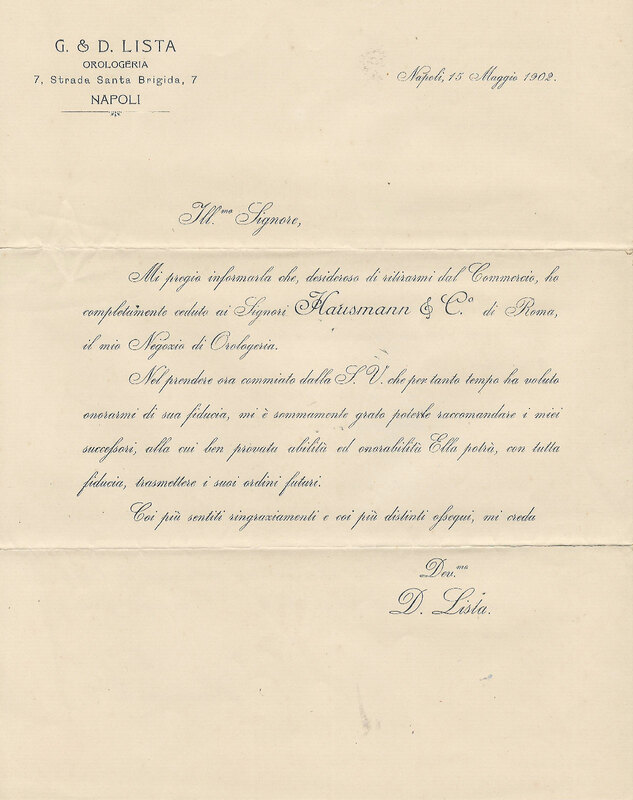 The letter accompanying the offer reveals the considerable quality of the materials supplied for the occasion, also contemplating the use of electric clocks all coordinated by a central pendulum clock. 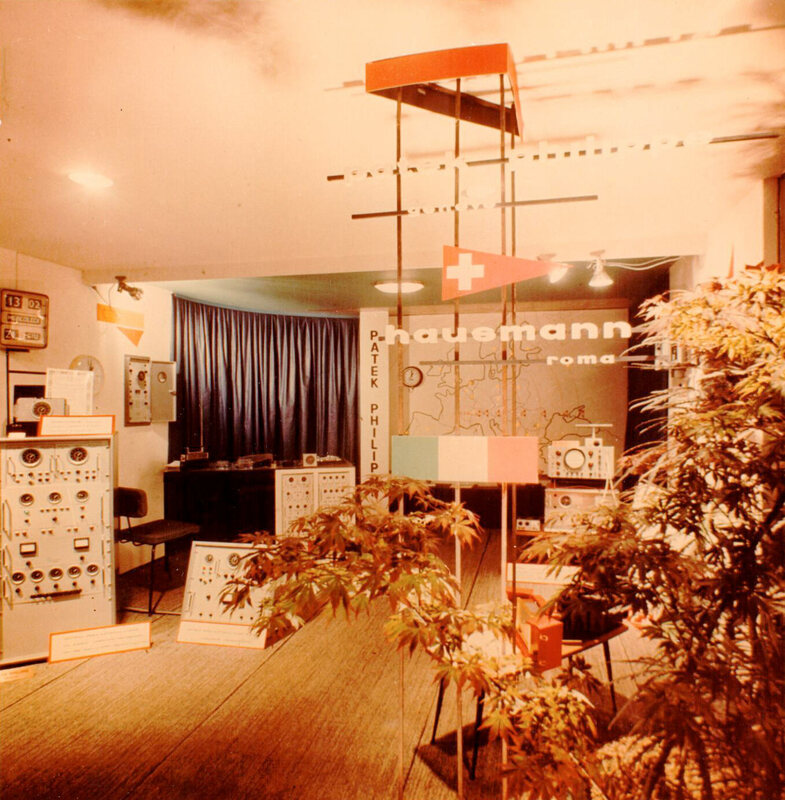 During the end of the century, Ernst Hausmann began to collaborate with esteemed German technician: Hermann Frielingsdorf. 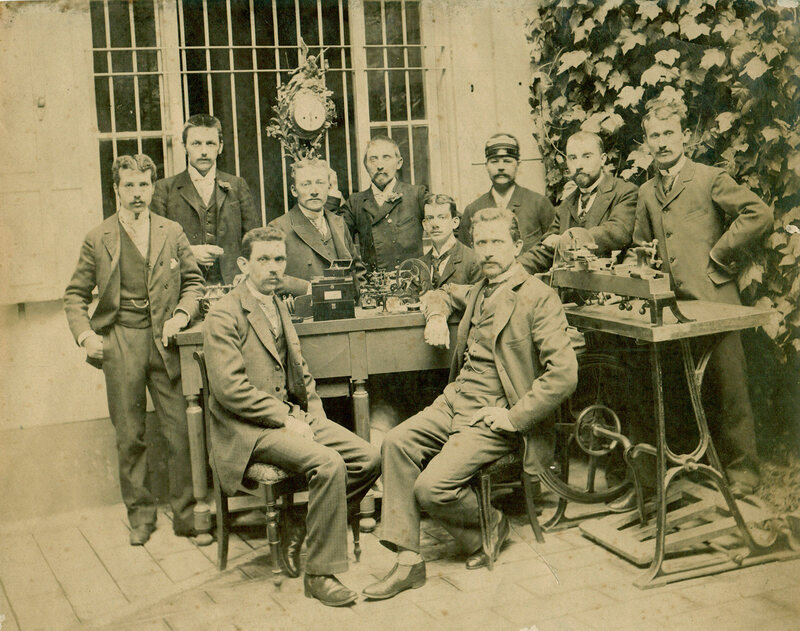 To celebrate this union, the company name became Hausmann & Co. A photo taken at this time shows them in the foreground, Ernst Hausmann sitting on the right, Hermann Frielingsdorf on the left, along with other watchmakers. 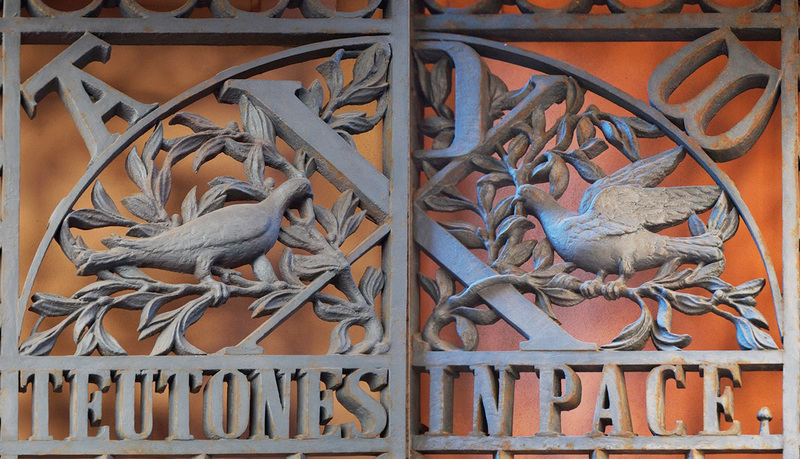 The descendants of these two families still run the business today. 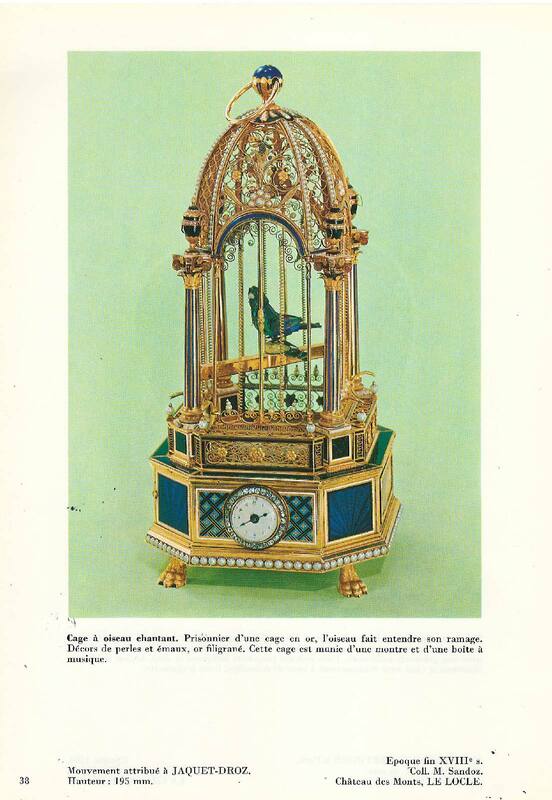 By the end of the 19th century, the shop had relations with the Patek Philippe House of Geneva. 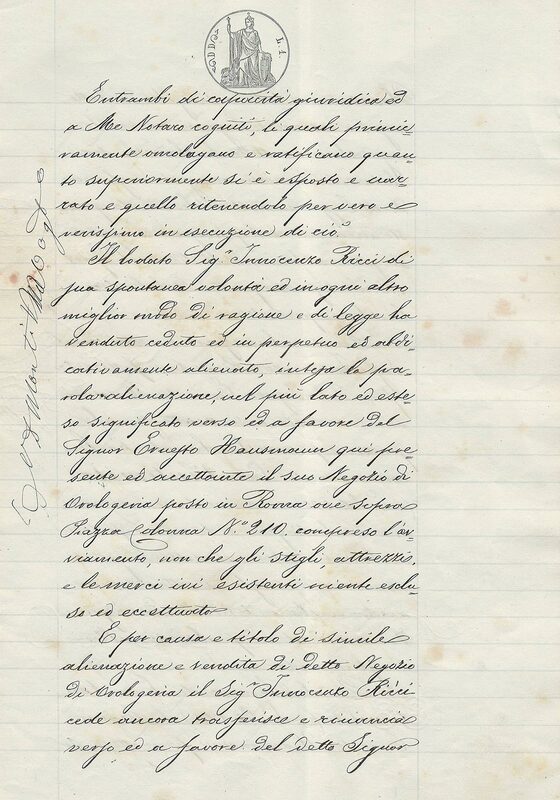 A document dating back to 1897 first refers to the watches produced by Patek Philippe, relating to the sale of a gold pocket watch, with the arms of the Baron family of Sendal painted in enamel on the lid of the case. 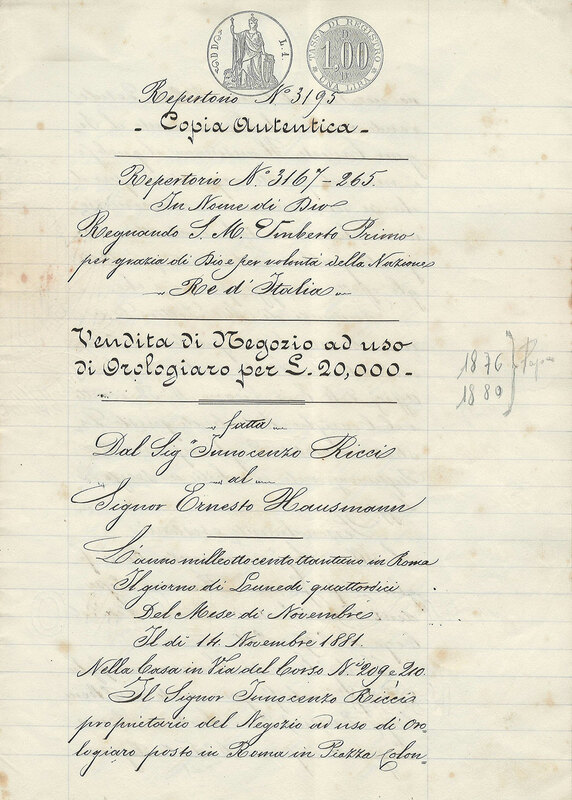 After taking over the jeweller, Lista, Hausmann & Co. opened a shop in Naples, in the central Santa Brigida street. The Neapolitan city boasts a top-quality watch shop with timepieces which would function in various positions and temperatures, thanks to the extreme technical expertise of the Watchmakers. 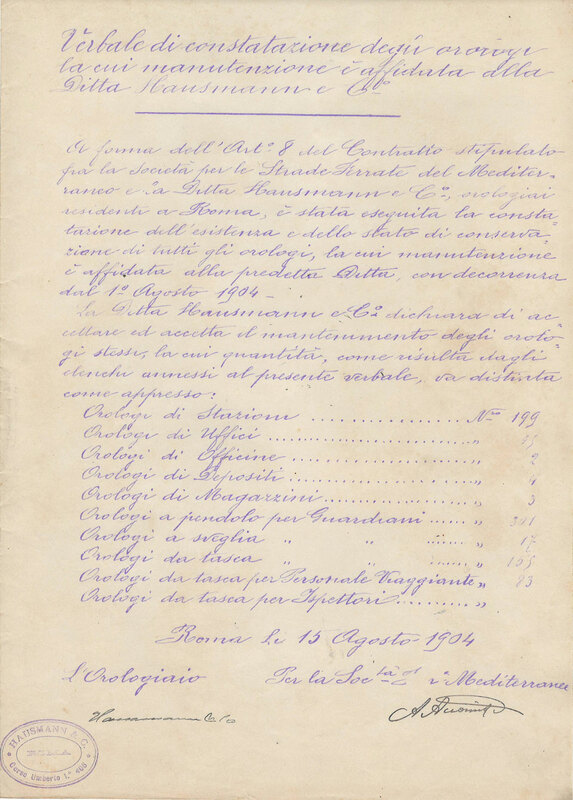 In the same year an additional shop was opened in Genoa, in piazza de ‘Ferrari. 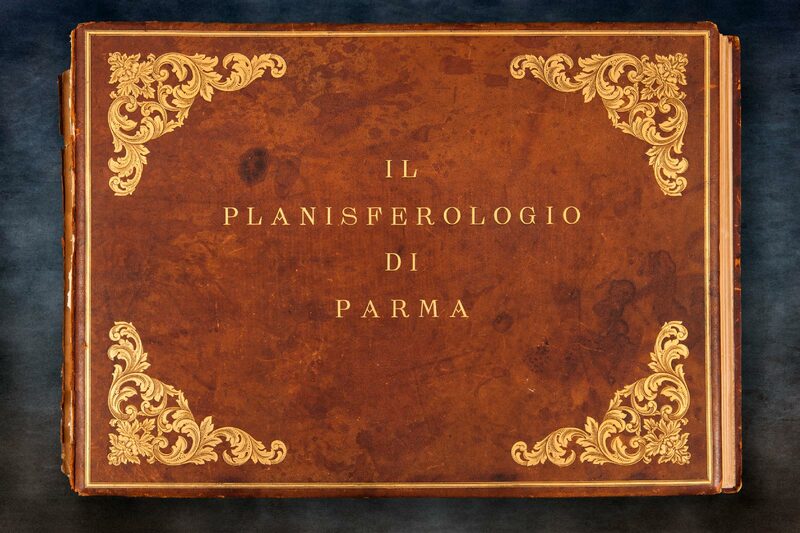 The Holy See entrusts Hausmann & Co. with the restoration of the famous Planisferologio in Parma, now kept in the Vatican Museums. 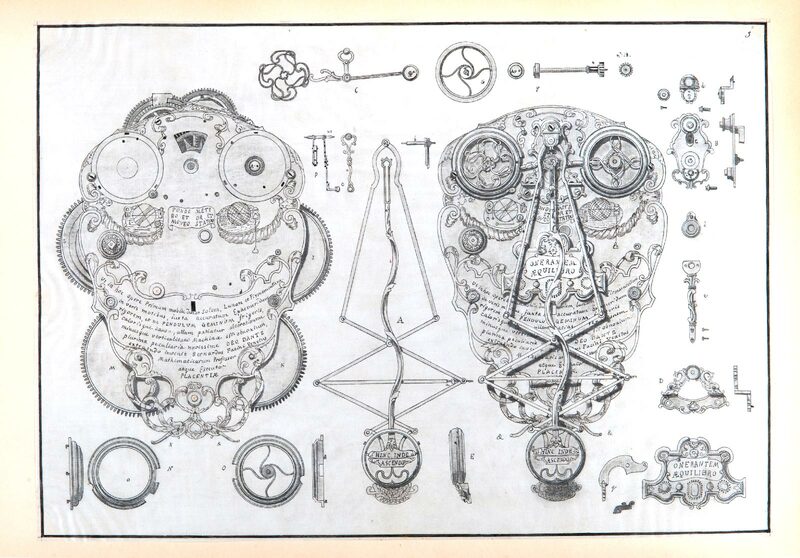 It took thirteen months of work for the watchmakers Frielingsdorf and Hausmann to breath new life into the complicated movements of this wonderful mechanism, redesigning each and every piece and seeming to create missing parts out of thin air. The railway company Strade Ferrate del Mediterraneo, which managed the railway lines belonging to the Rome section signed a contract with Hausmann & Co. for the maintenance of existing station clocks. 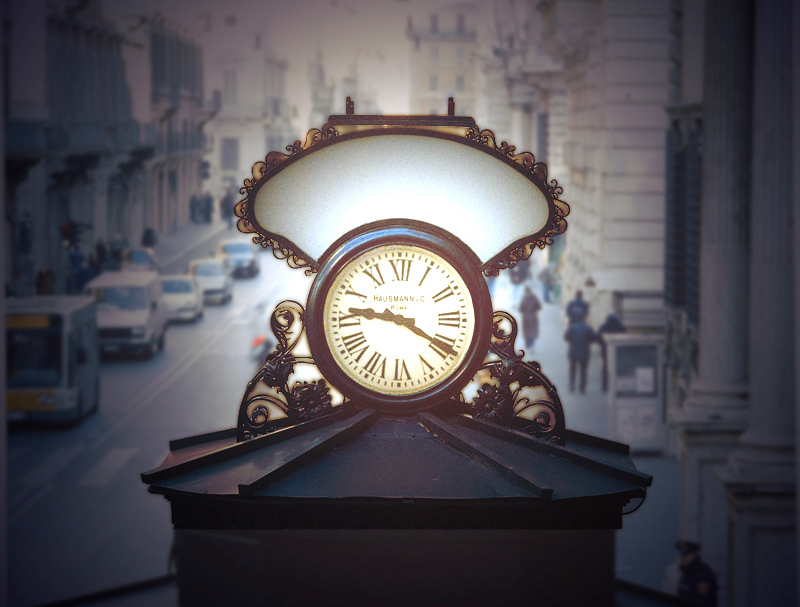 These included clocks at the station entrances, at the ticket offices, and even the pocket watches used by the watchmen, inspectors and traveling personnel. 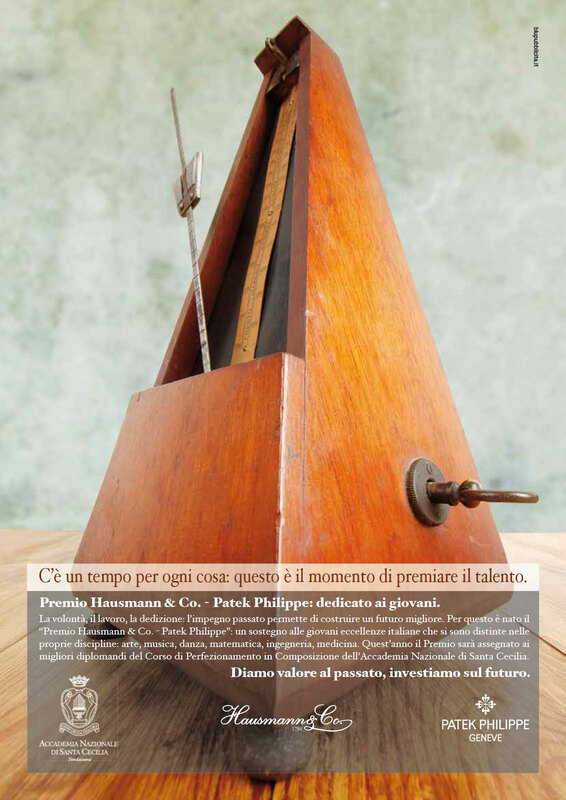 Hausmann & Co. participated in the International Exhibition of Milan presenting a precision pendulum clock, entirely developed and produced by the expert watchmakers at Hausmann & Co. 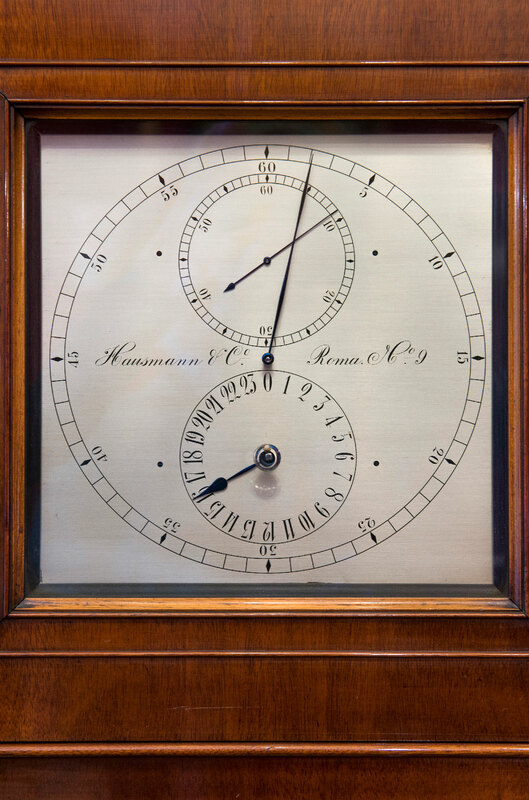 It was a regulator pendulum clock, developed to give an accurate indication of the second hand, to meet the new needs in the railway business. 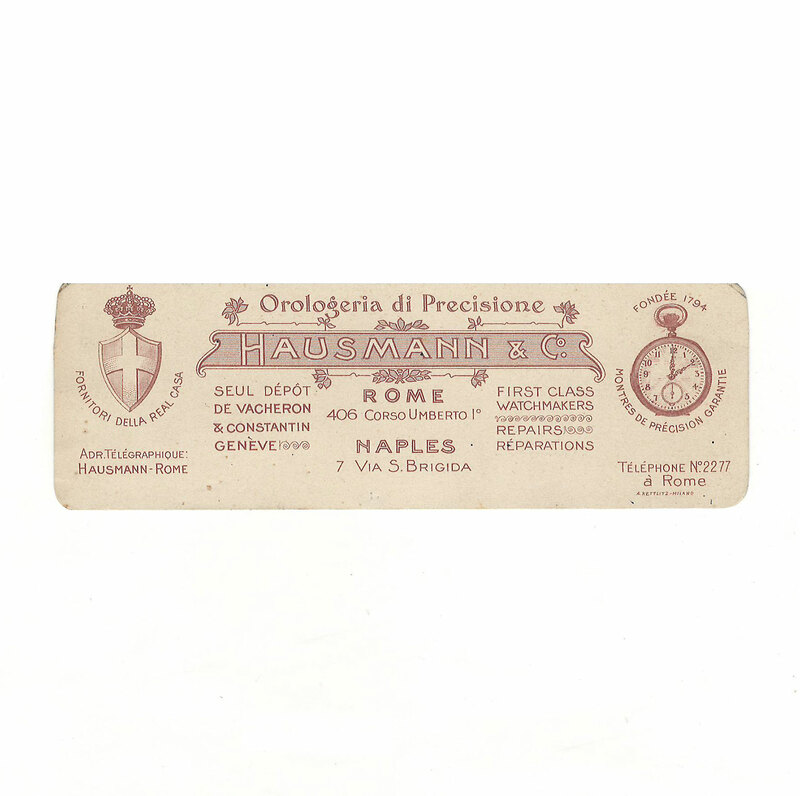 10 replicas of the clock were produced, three of which are still located in the offices of the Papal State. 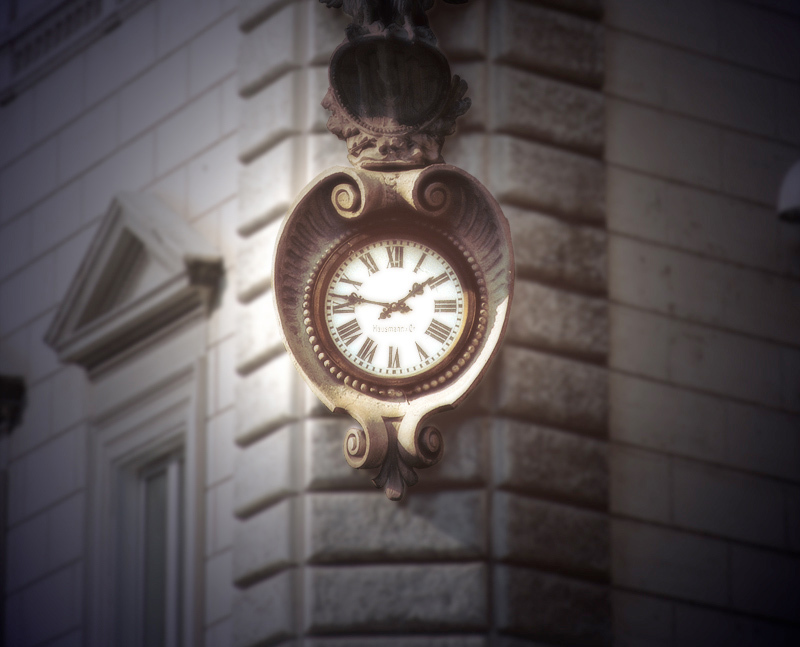 An example of this clock is visible inside the historic shop in Via del Corso. 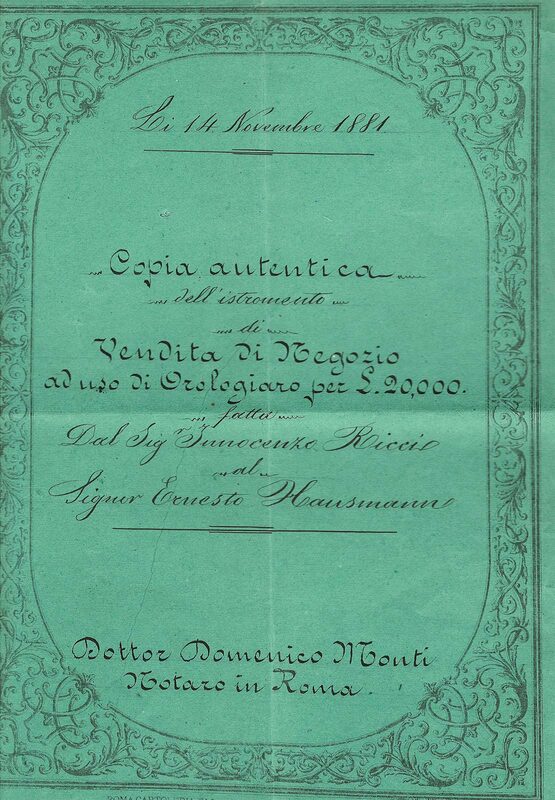 His Holiness Pope Pius X conferred the title of Knight of San Silvestro to Ernst Hausmann. 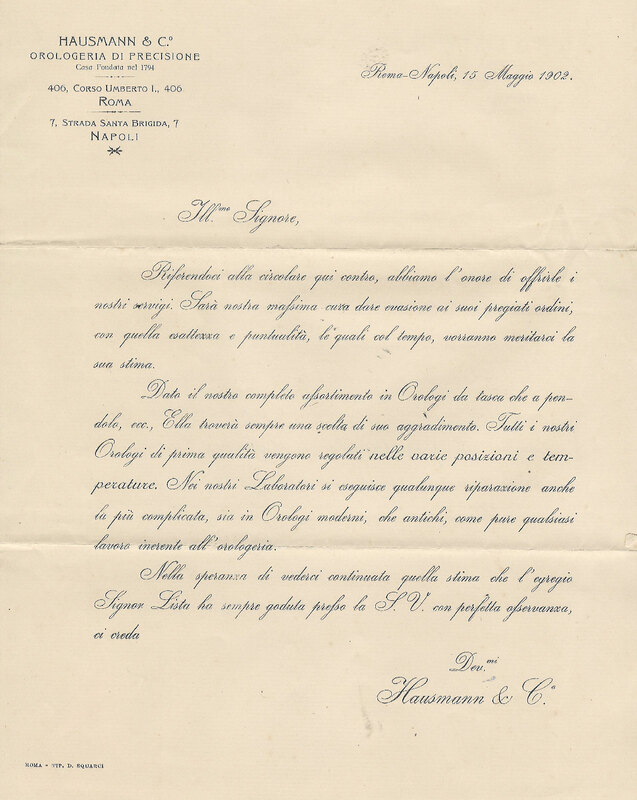 As a result of this recognition, and of the success in the restoration of the ancient Planisferologio, Hausmann & Co. was also given the honour of taking care of over 80 clocks in the Holy See from the beginning of the 20th century. 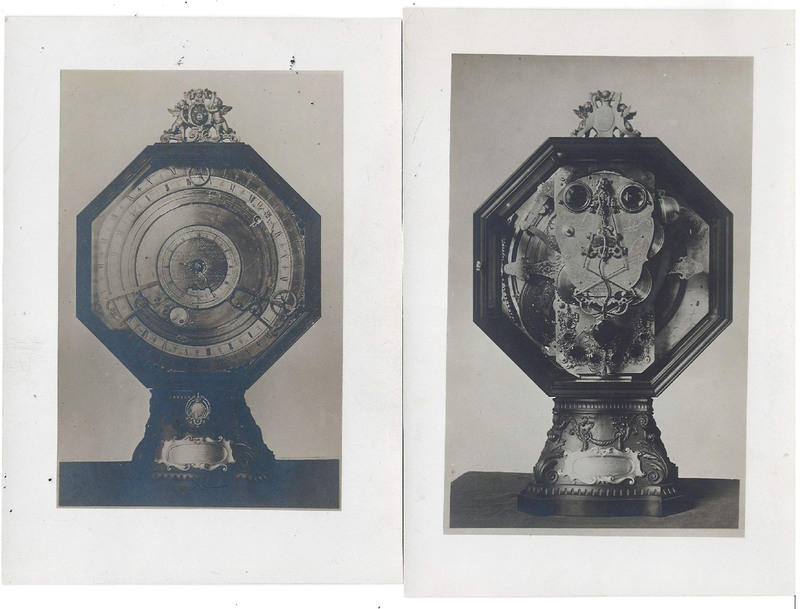 At the beginning of the last century some street clocks were given as public contributions to the City by the Company. 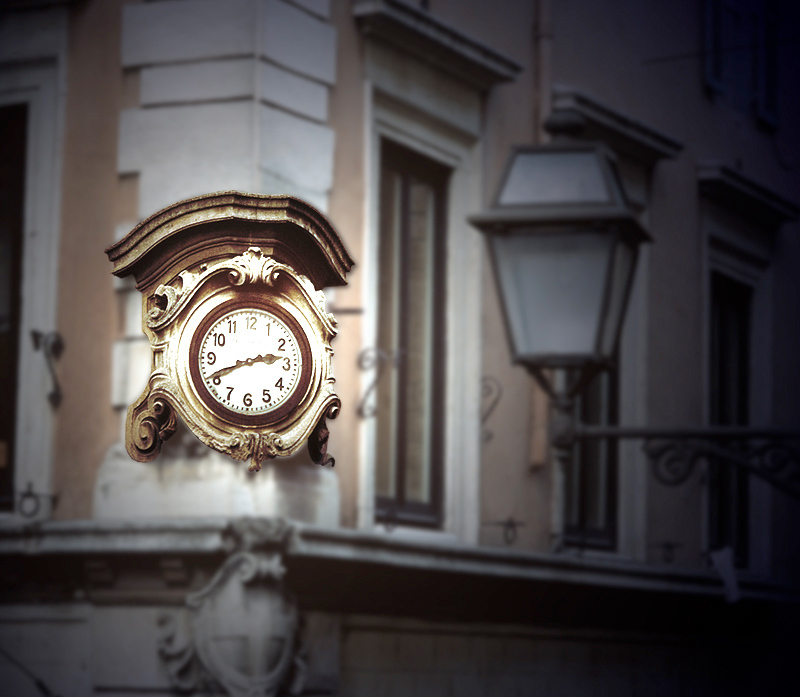 They refer to an era in which public clocks gave prestige to the building which housed them. With elegant forms, they were sometimes sculptural like the one featuring an eagle on the Palazzo of the Military Union. 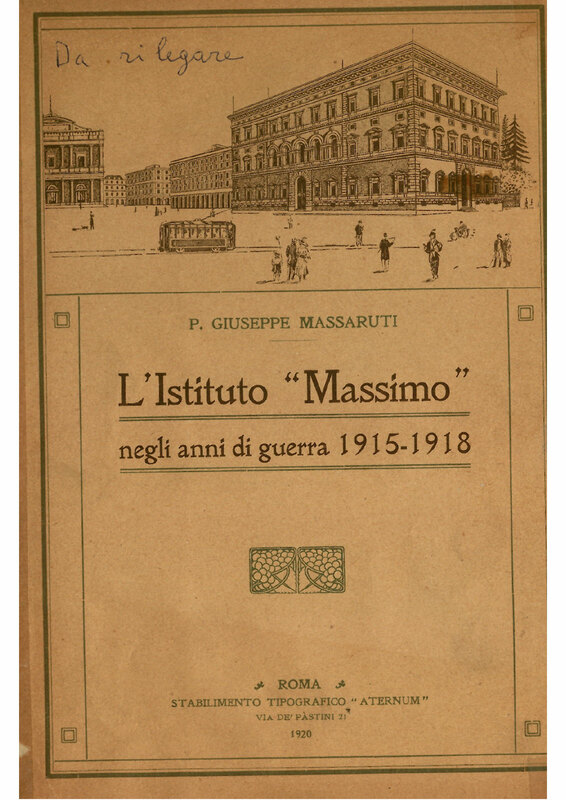 The two firstborns, designated heirs of the company, Hausmann & Co., Max and Giuseppe Hausmann, were killed whilst fighting for their country during the Great War. 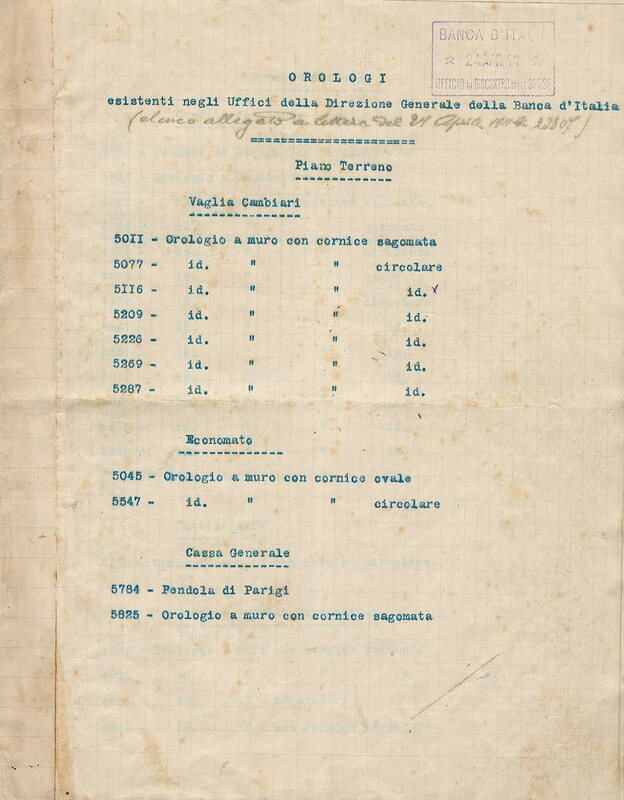 Such tragic events took on even greater gravity later in the Second World War, for a German company with its distinctively Italian significance. 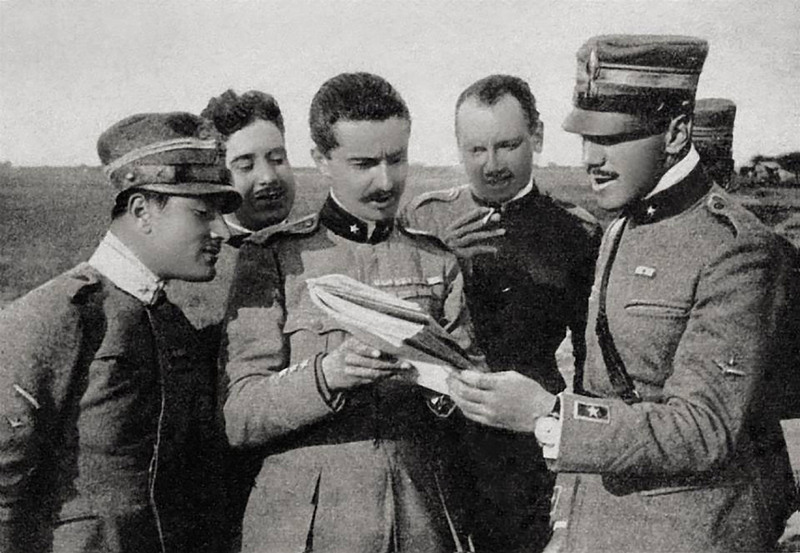 During the battle of Piave, in the last year of the Great War, the famous aviator Francesco Baracca, died in battle. 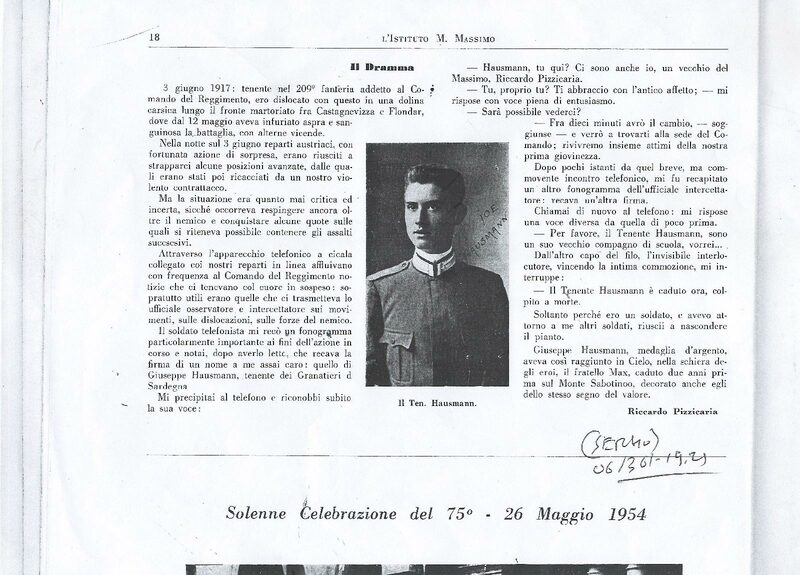 Such was his fame that Gabriele D'Annunzio paid tribute to him by reading the eulogy at his funeral. 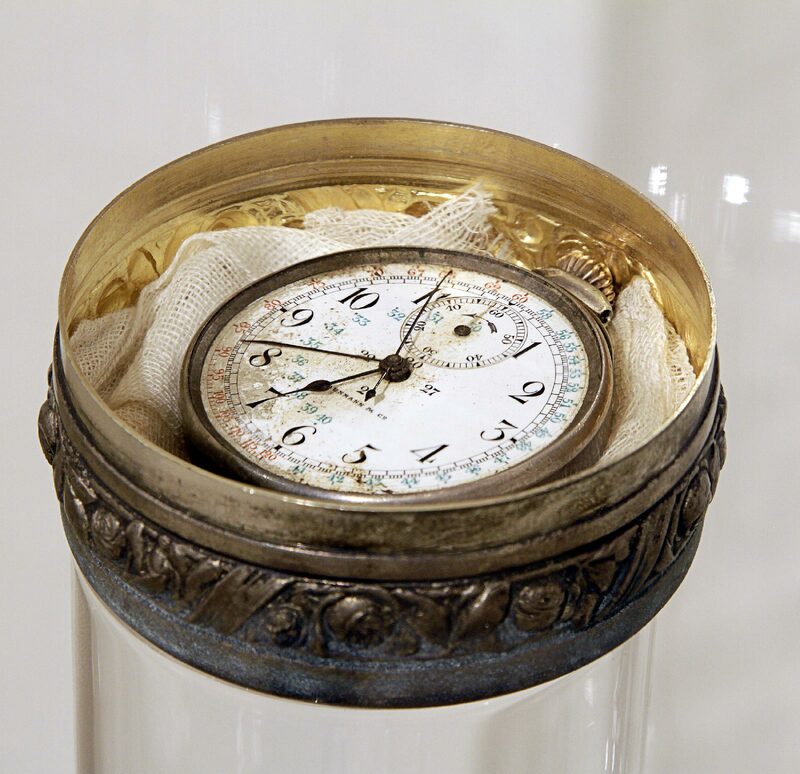 A newly available wrist-style watch by Hausmann & Co. was found on his body. The clock had stopped at the time of his death. 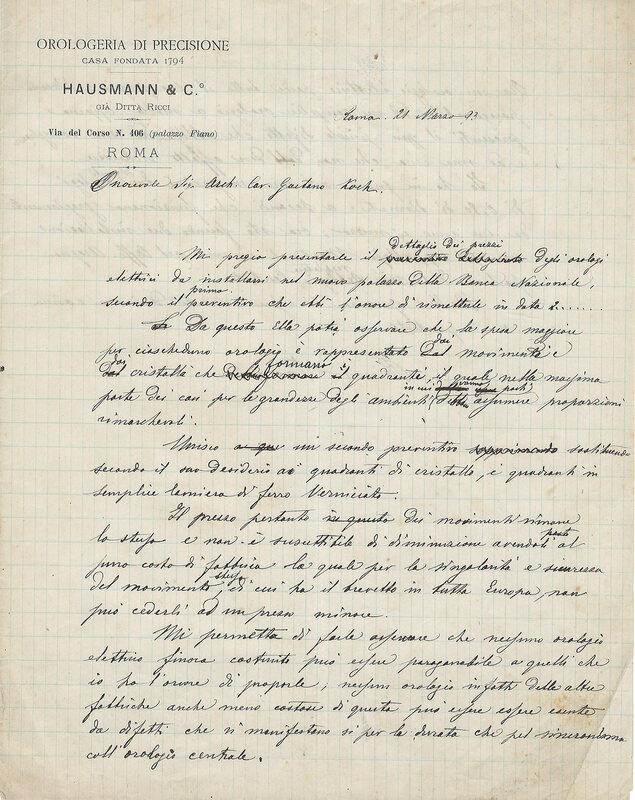 Aloys Hausmann and Hermann Friendliness constitute the company Hausmann & C., giving a legal appearance, as required by the laws of the time, to a collaboration that had in fact been in place from the previous century. 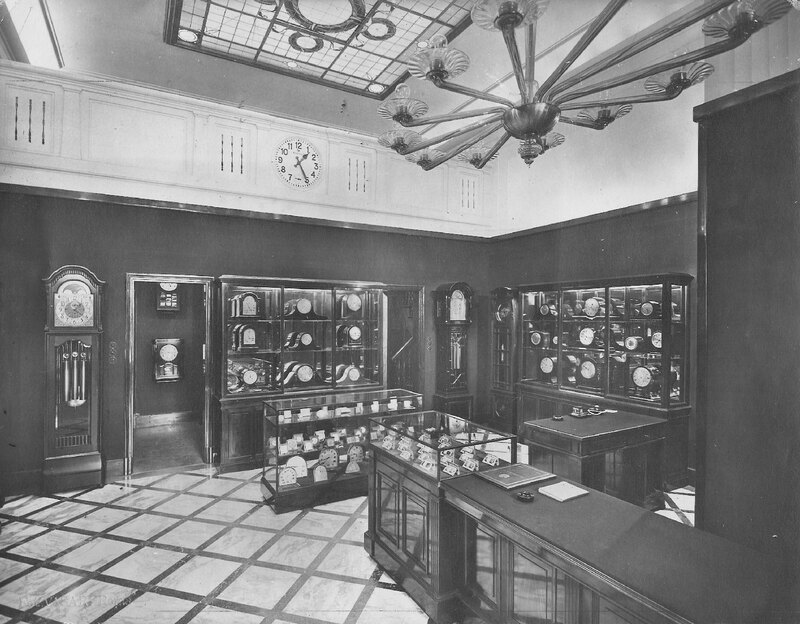 In the 1930s, the reception area of the Hausmann & Co. Roman shop became a salon-type meeting place for various guests including many artists and painters. 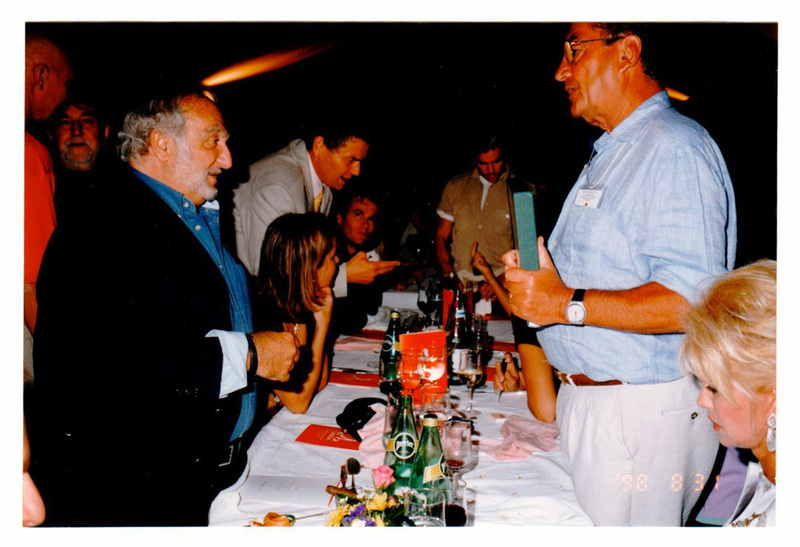 Among others, there were Capogrossi, Tamburi and Fazzini. 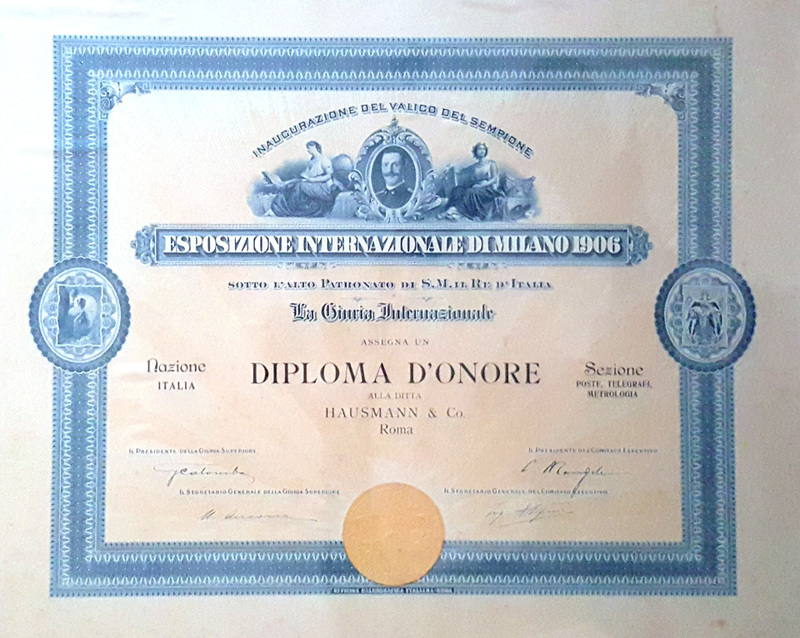 Hausmann & Co. greatly influenced those involved in this “Artists’ Club” including the adoptive son of Nicola Normando, the "handyman" of the shop. 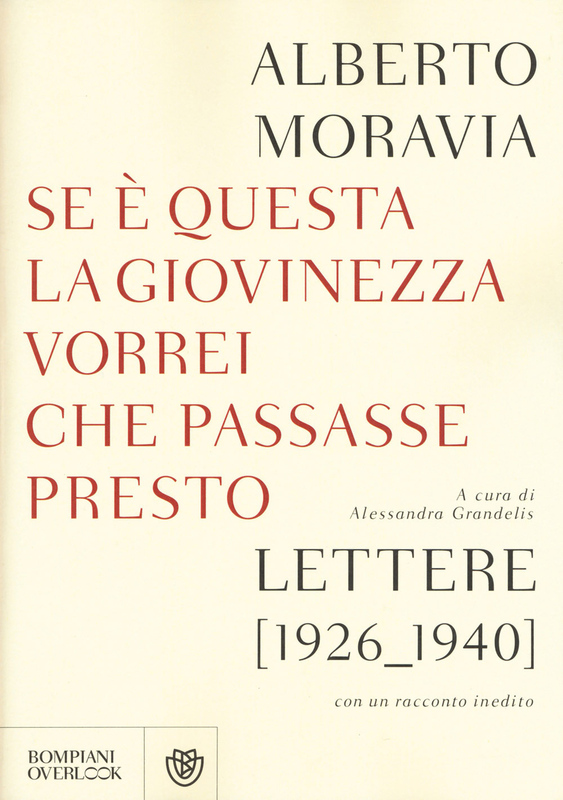 He began a career, under the name of Macrì. that would enrich the pages of both Italian and World Art History. 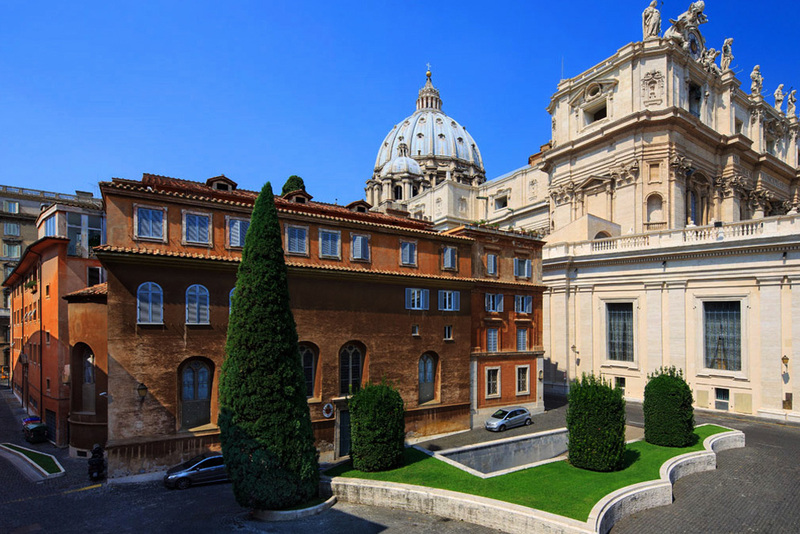 The Campo Santo Teutonico is the only cemetery in the Vatican City reserved for the German and Flemish people who lived in Rome. 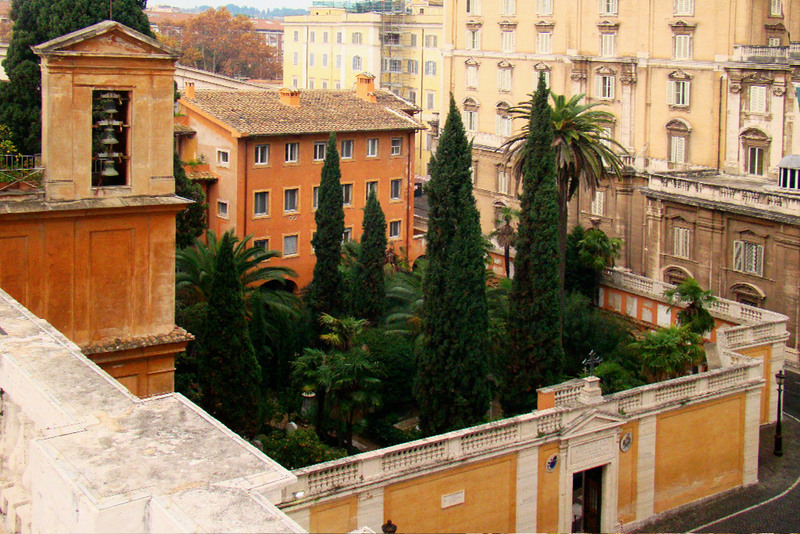 During the Holy Year of 1450, the cemetery and the church were rebuilt and a Confraternity was formed by the German members of the Curia to guard the grounds. Joseph Anton Koch, progenitor of the Hausmann and Frielingsdorf families, is among one of the most prominent men who was buried at the Camposanto. 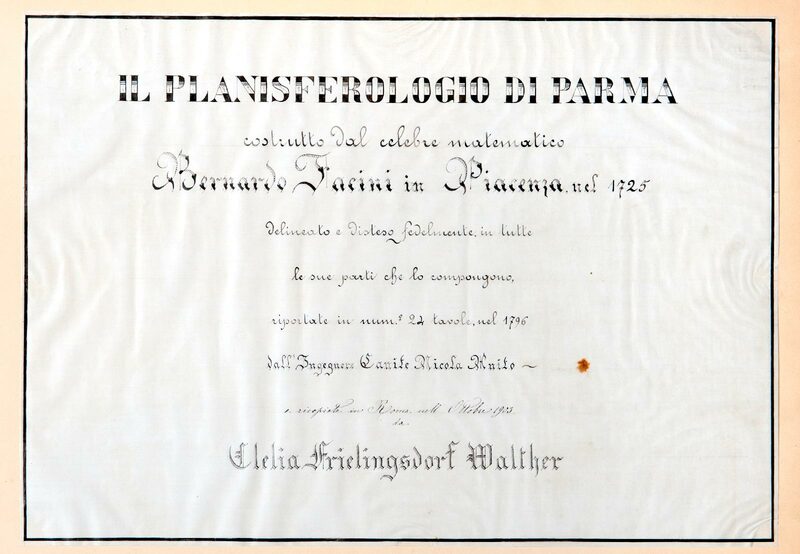 The founding families of Hausmann & Co., in the two branches Hausmann and Frielingsdorf, still today are found amongst the tombs at the Camposanto. 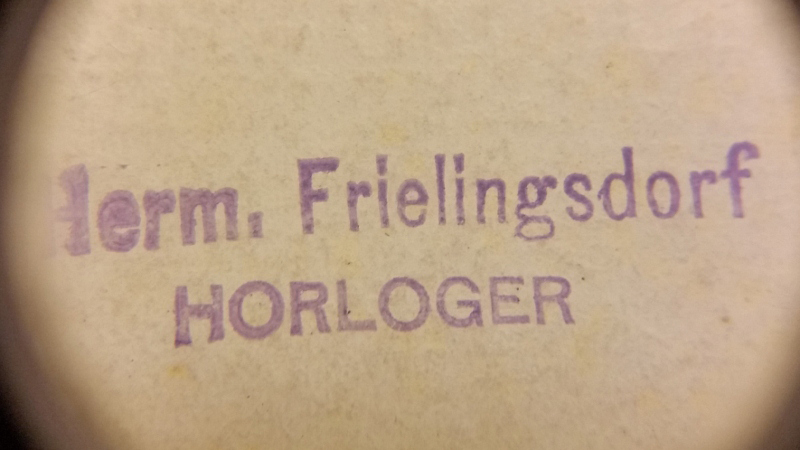 In 1934 Hermann Frielingsdorf, formerly a member of the Brotherhood, bought the family tomb to bury his wife Clelia in it. The Hausmann family tomb is dedicated to the Hausmann and Hefner families, serving as a reminder of the blood bond of Max Hefner, commander of the Pontiff's Guards. 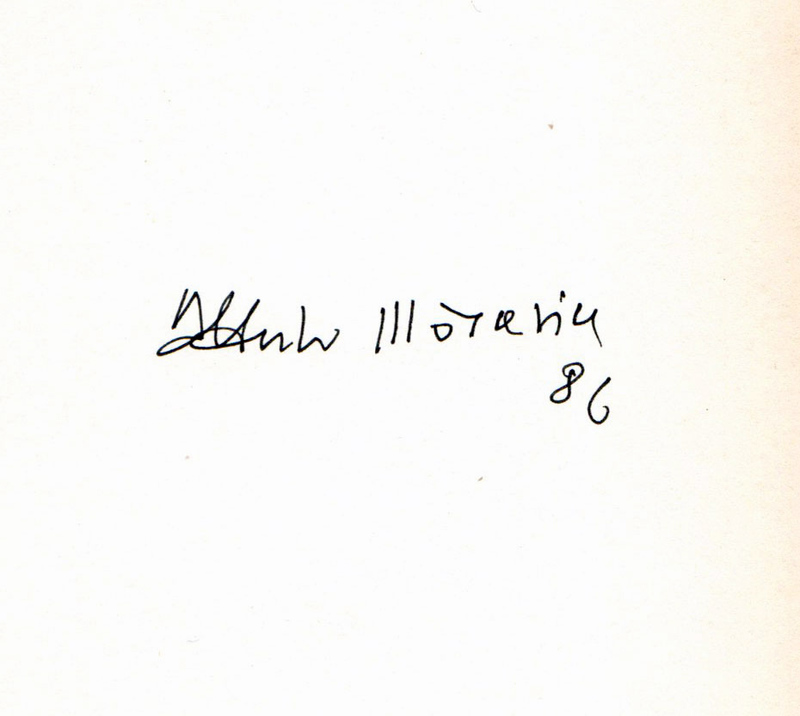 Aloys Hausmann was part of the network of Italian intellectuals and artists of the time. 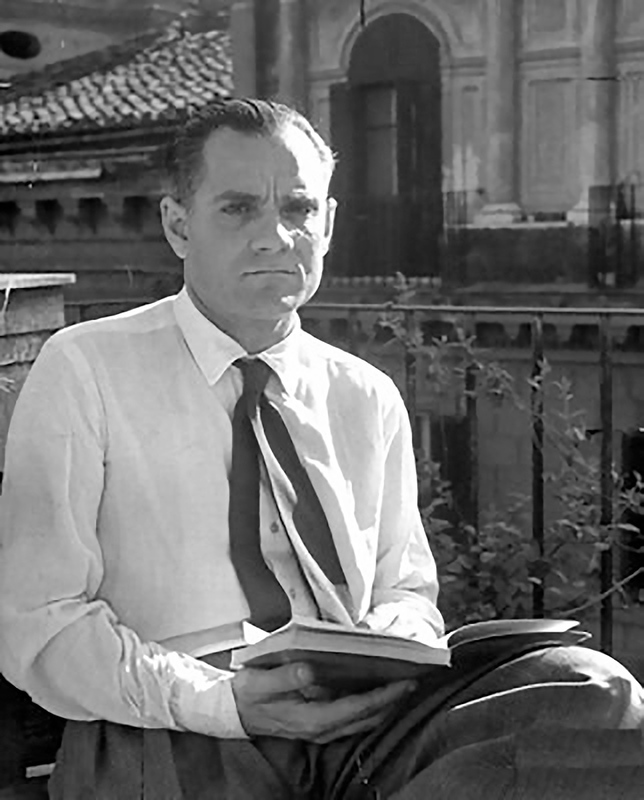 His decision to leave Rome for Tahiti became so famous that it became the object of discussion in the exchange of letters between Alberto Moravia and his lover Lelò. 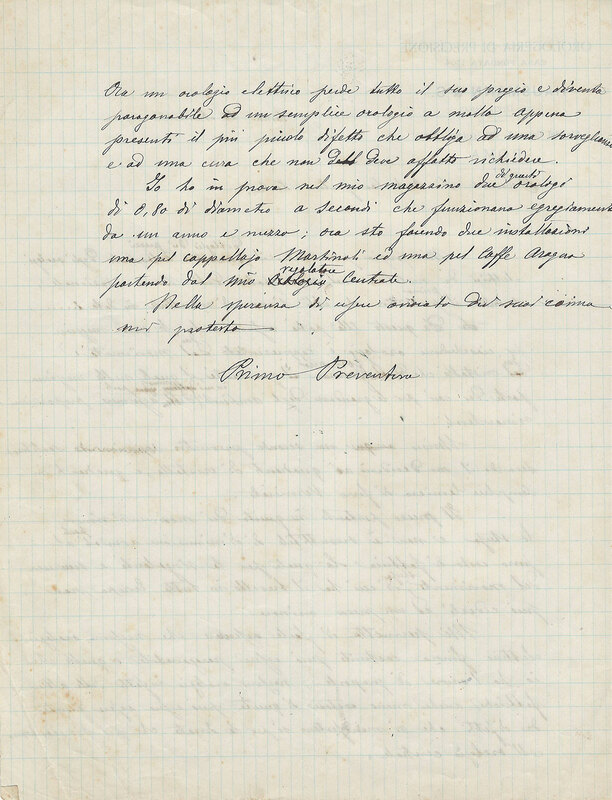 Examples can be read in the collections of letters "If this is youth we hope it will soon pass". 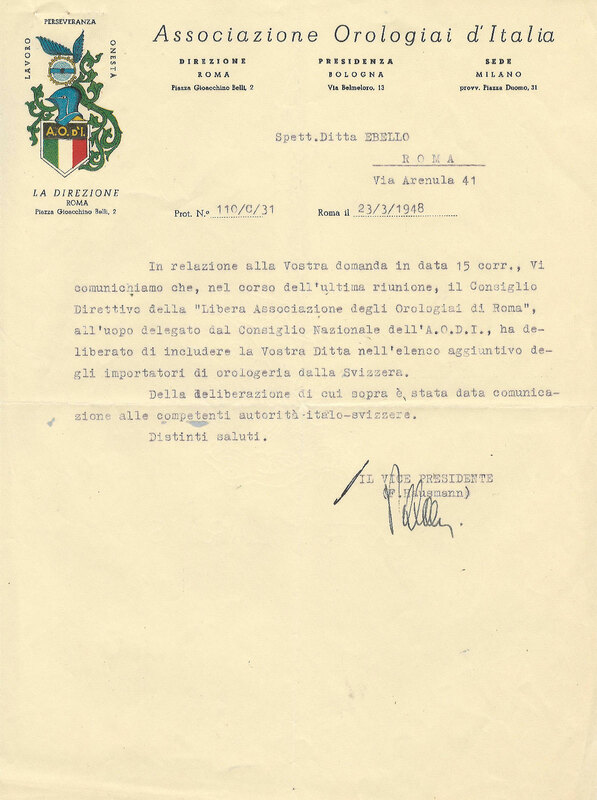 Nel 1943 i coniugi Frielingsdorf nascondono e proteggono una famiglia di religione ebraica, sfuggita ai rastrellamenti nel ghetto di Roma. 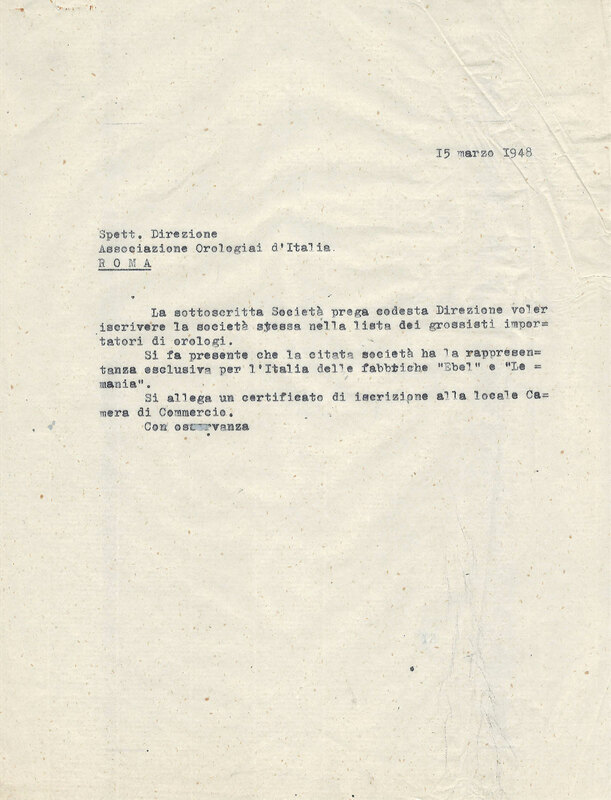 La famiglia Della Seta non ha dimenticato l'aiuto ricevuto, e per questo i nomi di Maurizio e Maria sono iscritti nel giardino dei Giusti tra le Nazioni di Gerusalemme, in cui vengono ricordati gli uomini e le donne che hanno rischiato la propria vita per salvare quella dei perseguitati durante gli anni dell'Olocausto. In the post-World War II years, international trade was severely limited to safeguard balance of payments. 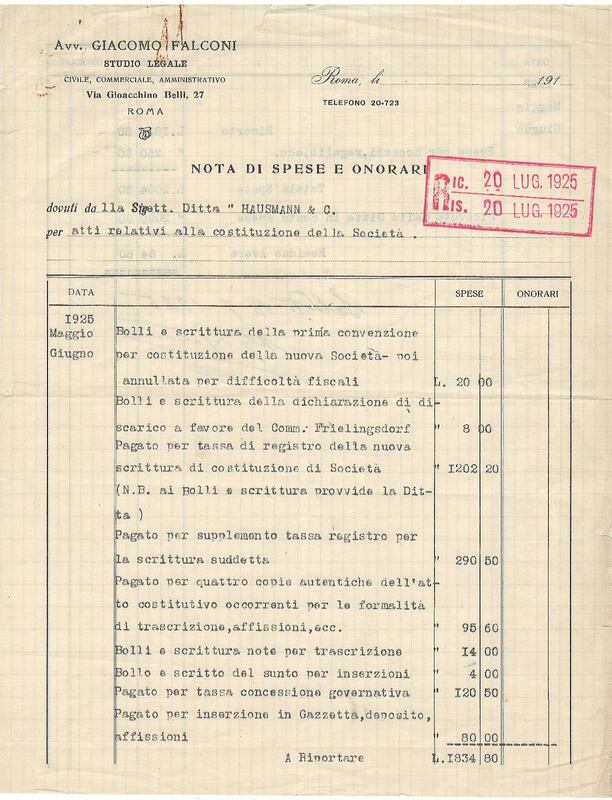 However Hausmann & Co. assured the importation of Swiss watches into Italy by exporting brooms. 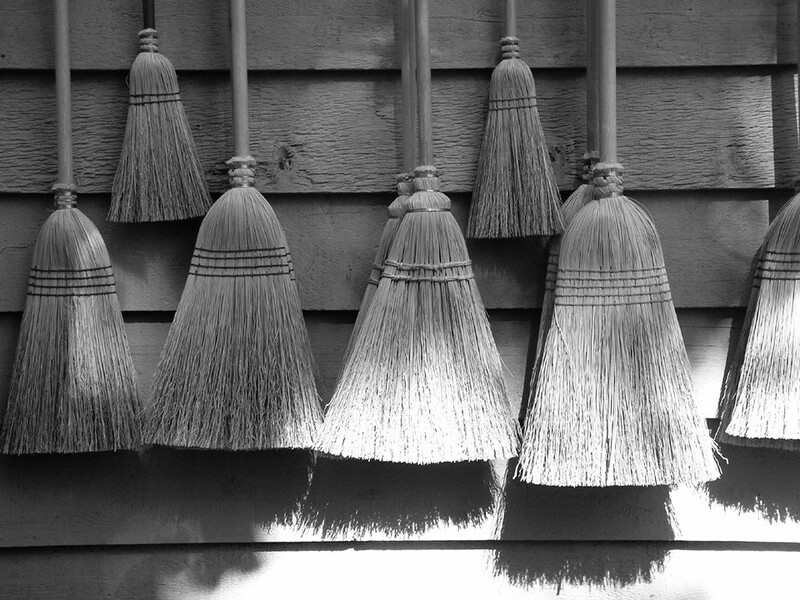 Brooms were in high demand as the small Swiss towns where the watch factories were located did not have shrubs suitable for the creation of brooms on site. 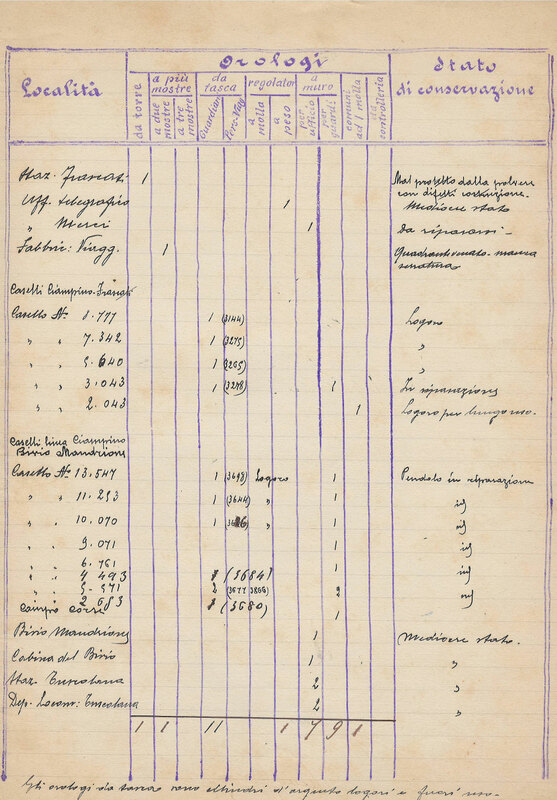 Through the company Ebello, Hausmann & Co. took on a new role in the watchmaking market and started importing and distributing for the then famous brands Ebel and Lemania. 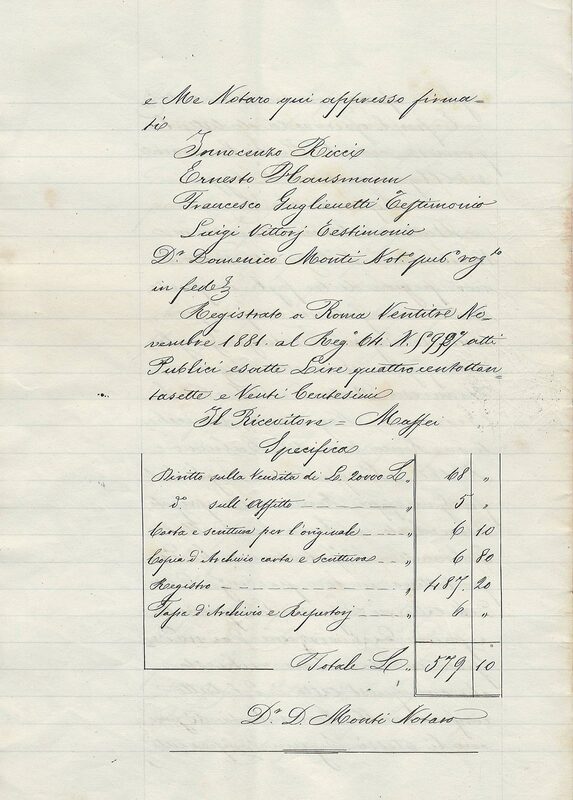 Importing continued until the '70s, including the watches of the IWC manufacturer of Shaffhausen, which Hausmann & Co. imported for the Italian market. 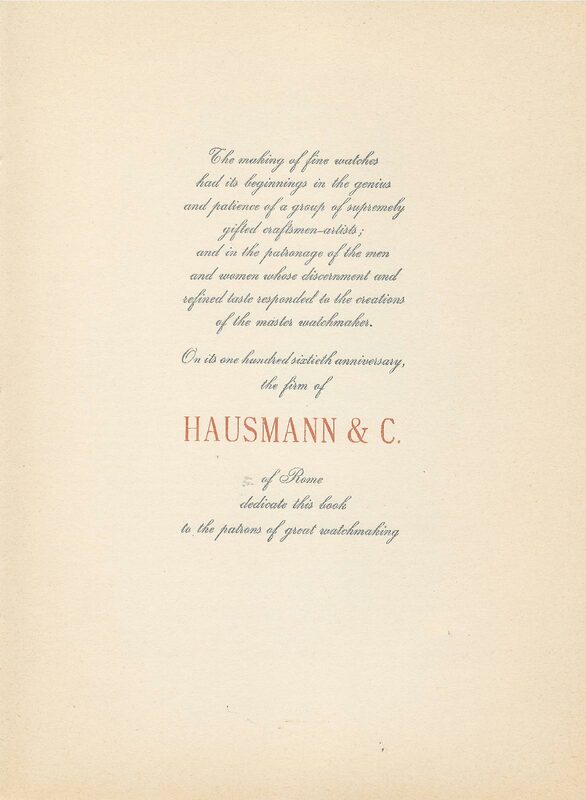 In 1954 Hausmann & Co. celebrates 160 years of activity. 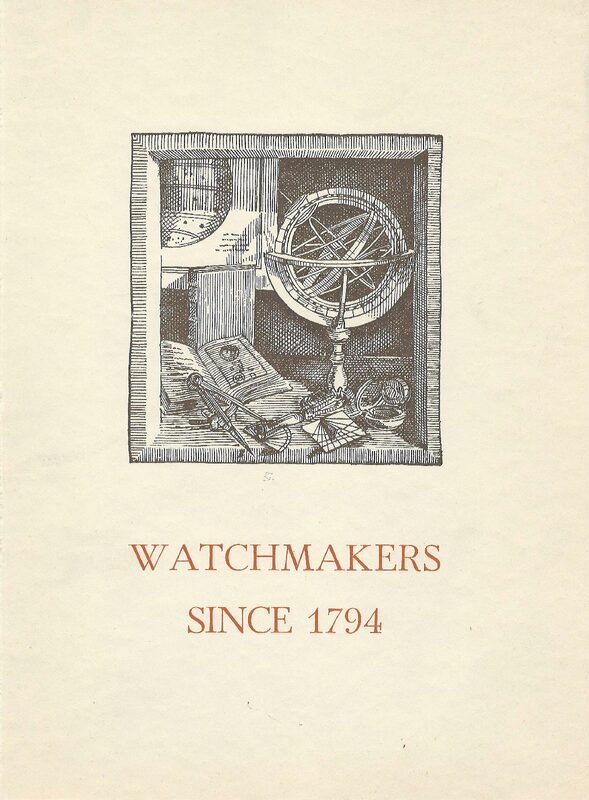 The anniversary represents the occasion by the publication of a laudatory book of Swiss watchmaking art, in which special sections, enriched with vintage photos, are dedicated to Patek Philippe, master watchmakers in Geneva since 1839, and Vacheron Constantin, the oldest watch factory in the world. Hausmann & Co. collaborated in the construction of the first prototype of a speed camera, patented in 1960. 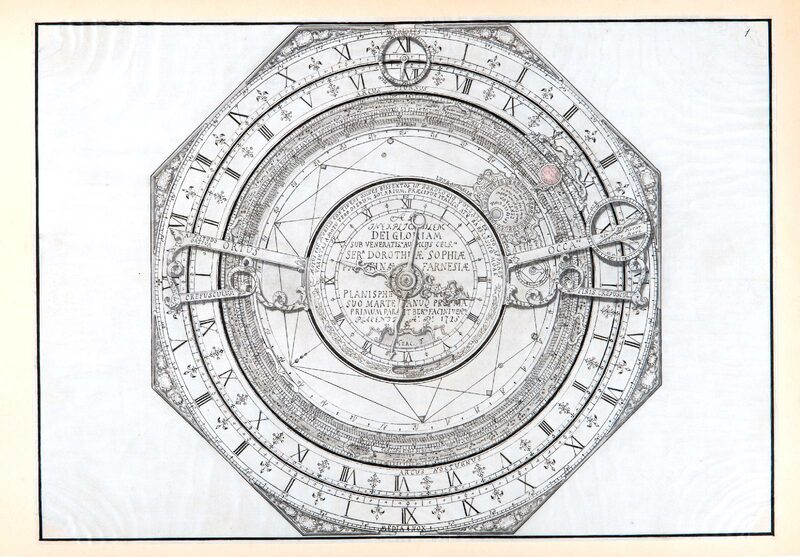 It was built using a camera and a watch with a chronograph. The newspapers of the time described it as "A device which will photograph our wrongness, they will check the speed of cars through the cinematographic record of races". 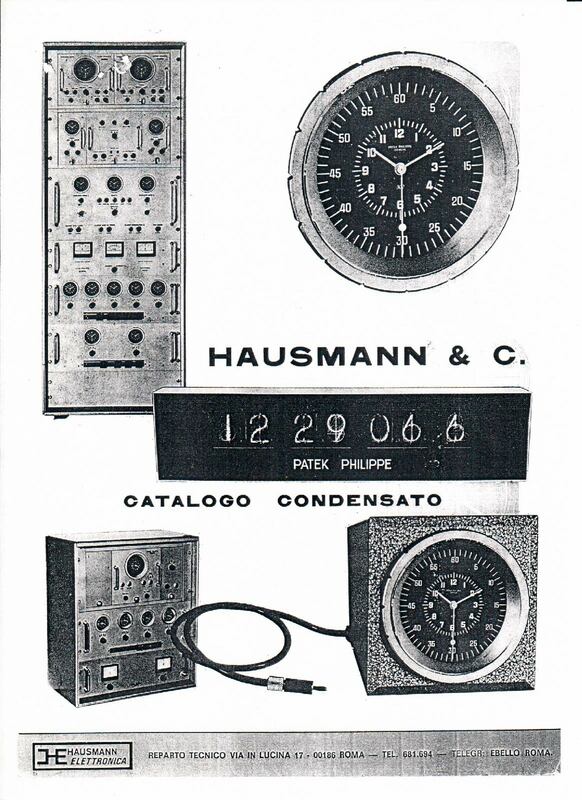 Hausmann presented an hourly electronic control unit that simultaneously adjusted all the electric clocks in an office building with the precision of one thousandth of a second. This was to control equipment related to hourly requirements such as elevators, heating systems or time stamping devices. The power plant consisted of three clocks that worked in collaboration; failure of one of them caused its exclusion from the control system and the insertion of another one. All procedures took place automatically. Each "module" of the control unit could be easily removed without causing the operation of the whole unit to stop. 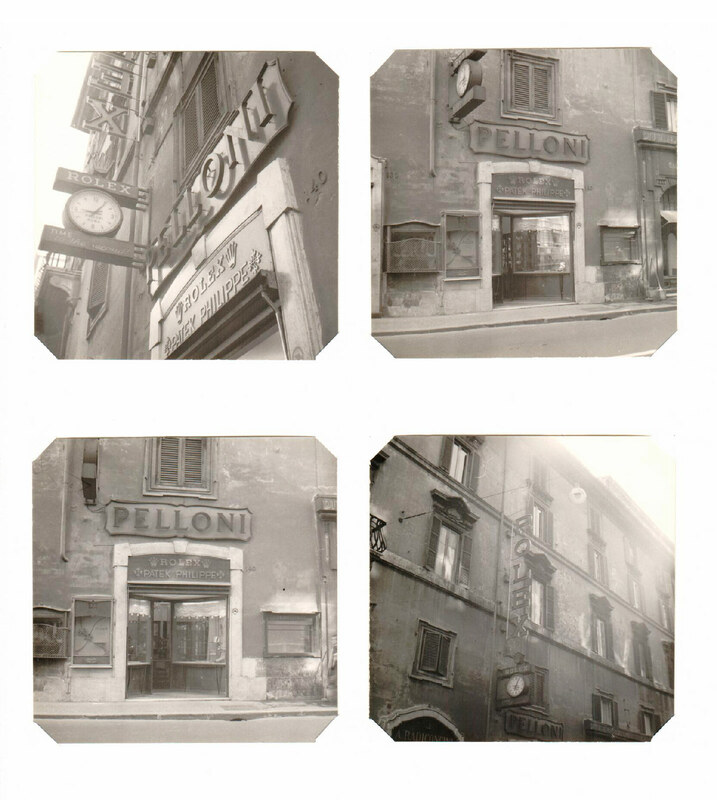 Hausmann & Co. doubled its presence on the historic Via del Corso, by taking over the Pelloni store. 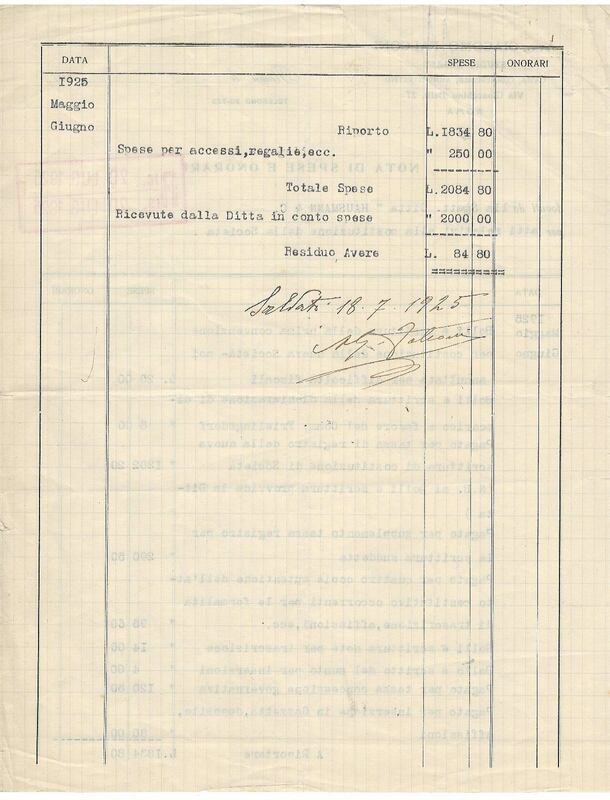 This store was located near Largo Goldoni and it was formerly a Rolex brand dealer. 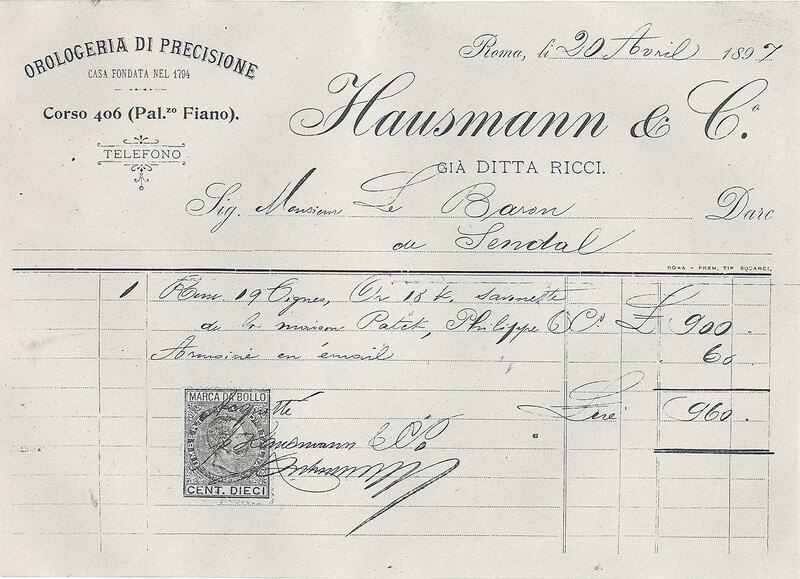 Thus began the relationship between Hausmann & Co. and this prestigious watchmaking house. 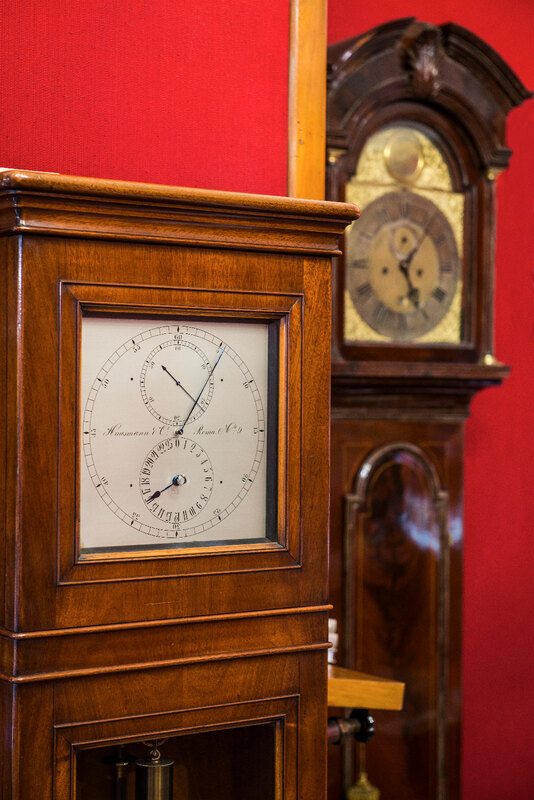 To celebrate 175 years of business, Hausmann & Co. organised an exhibition of watches from the prestigious Watchmaking Museums of Le Locle and La Chaux-des-Fonds. 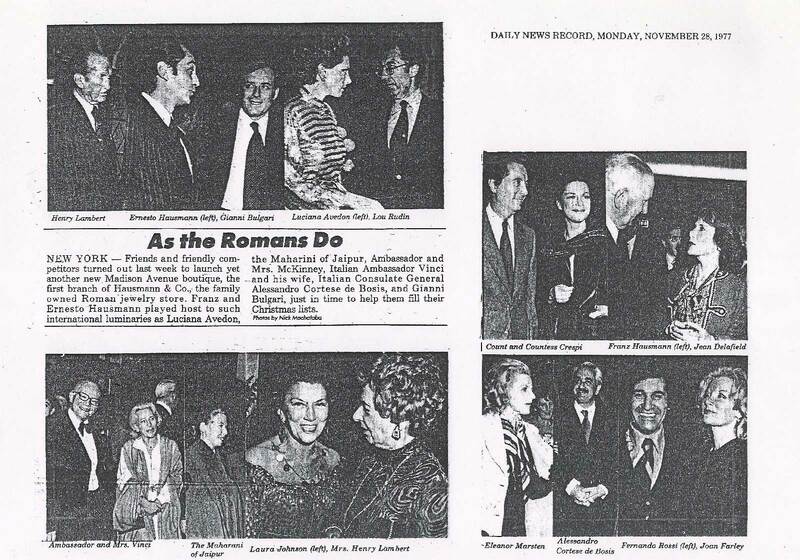 It was set up as an international exhibition, hosted by the Swiss Institute in Rome at Villa Maraini. It included watches with great historical value. 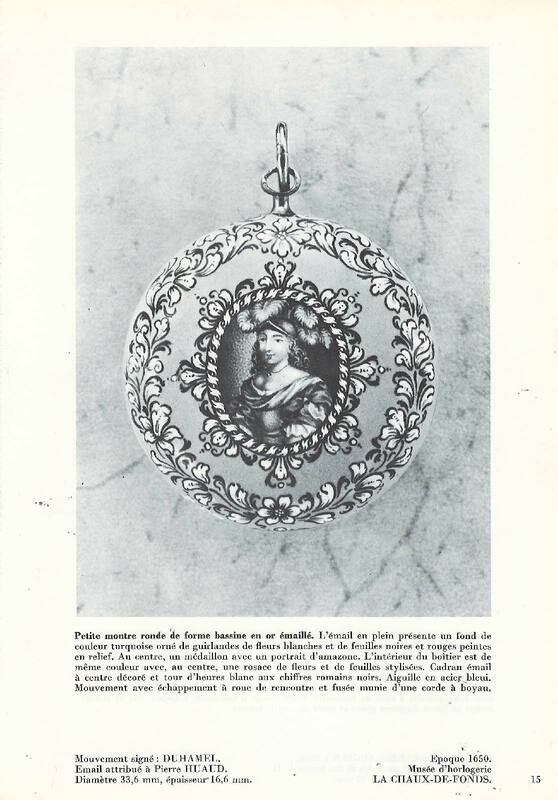 Watches starting from the 1500s were brought together under the title "Montres du XVI au XIX siècle". 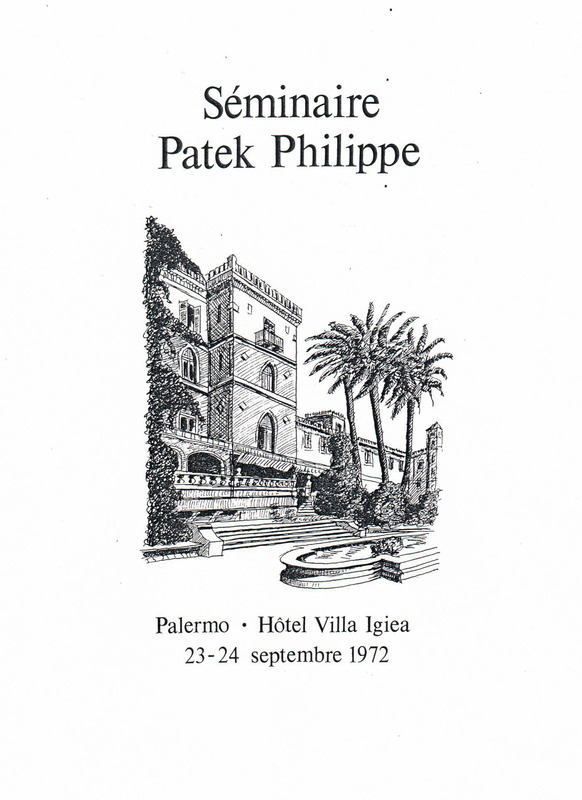 Patek Philippe organised a seminar in Palermo involving all the company’s main dealers. 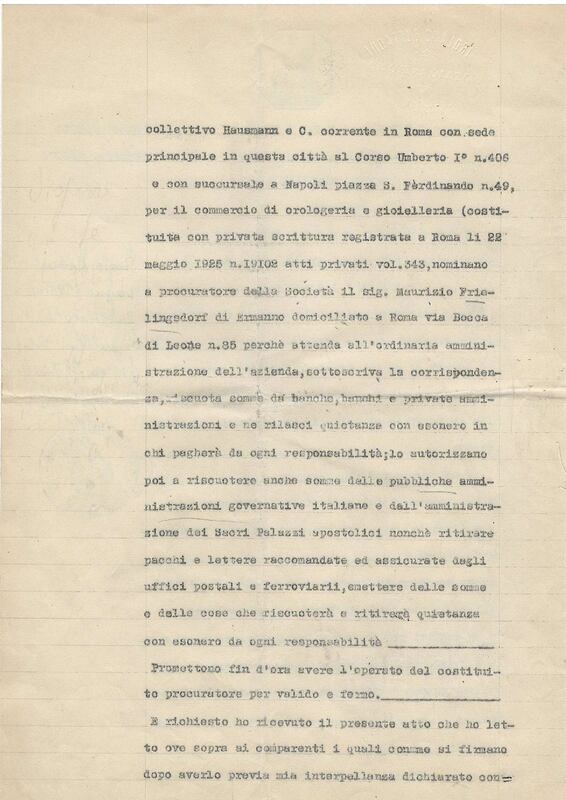 Joe Frielingsdorf took part as the representative of the firm Hausmann & Co., and had the pleasure of presenting its prospectus for the watch sector of the Italian market to Mr Henri Stern. 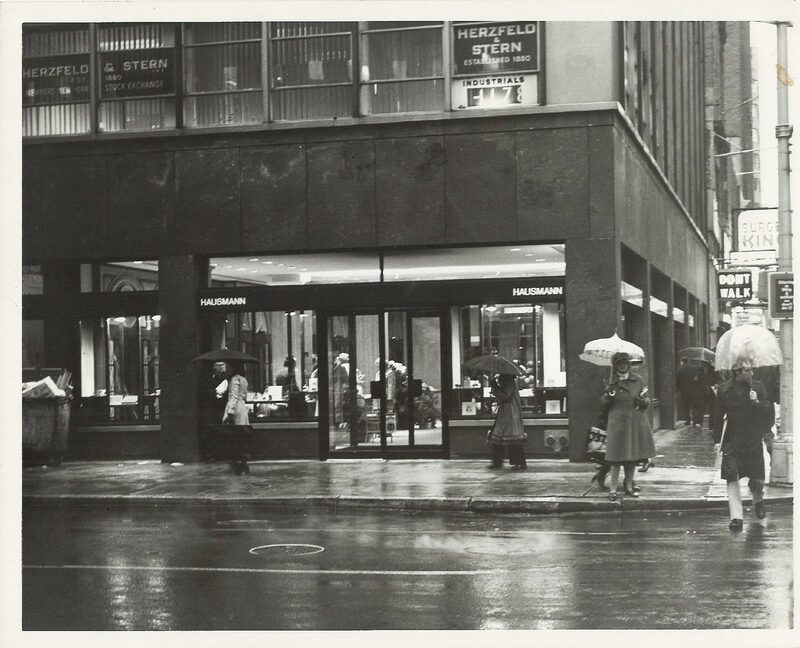 Hausmann & Co. opened a new boutique in New York at the corner of Madison Avenue and 59th Street, thanks to the Carla Frielingsdorf’s business. Carla Frielingsdorf is the daughter of Joe Frielingsdorf, and the wife of Benedetto Mauro, who in those years was part of the company. Italian taste characterises the furnishings: a wooden wall decorated by Italian cabinet makers makes reference to the decorations of the façade of the church of San Miniato in Florence. Ernesto Hausmann was chosen by American Express as the Chairman of the Italian Consortium of Fine Watchmakers and a representative of the luxury trade sector in Italy, the key market for an exclusive credit card not then in common use in Italy. 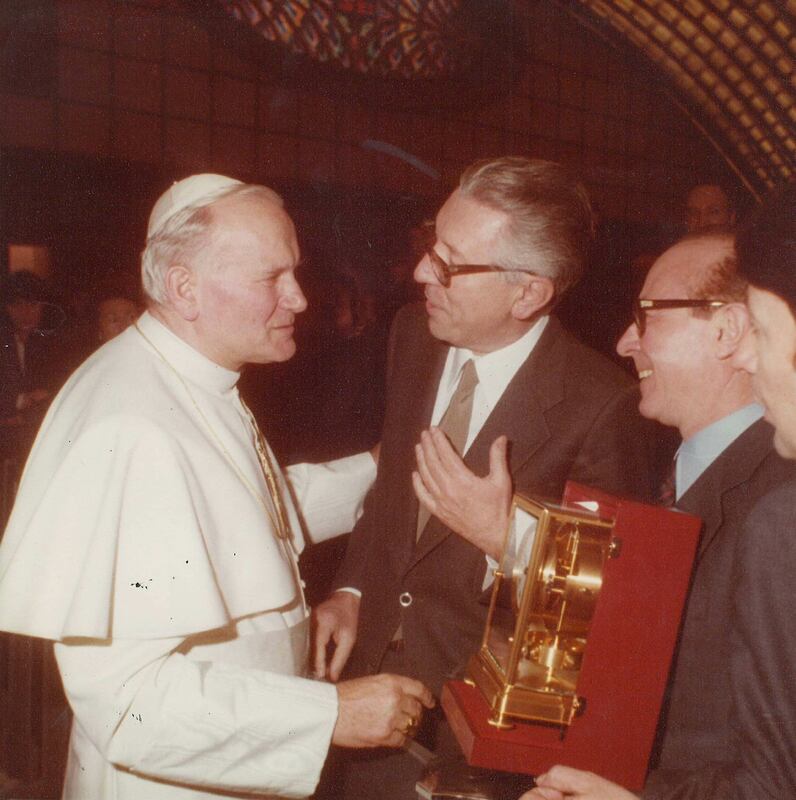 Joe Frielingsdorf with Pope John Paul II. 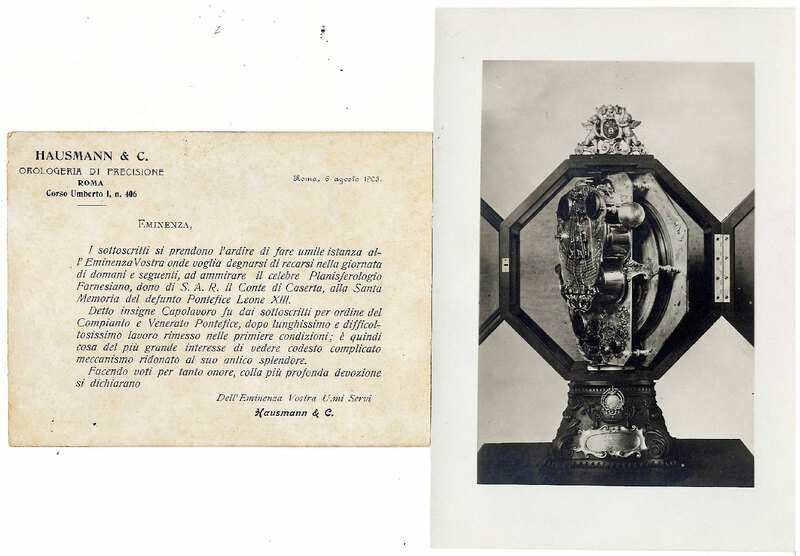 The Atmos pendulum clock by Jaeger-LeCoultre was also given to the former pontiff Pius XI. 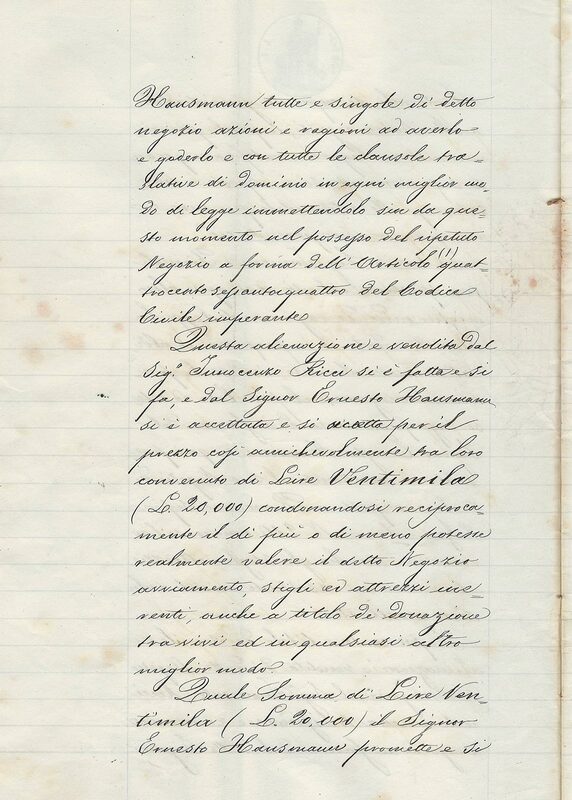 According to the family's stories, he wrote on a sheet of paper "Noli tangere" (Do not touch), for the attention of the nuns responsible for its cleaning. 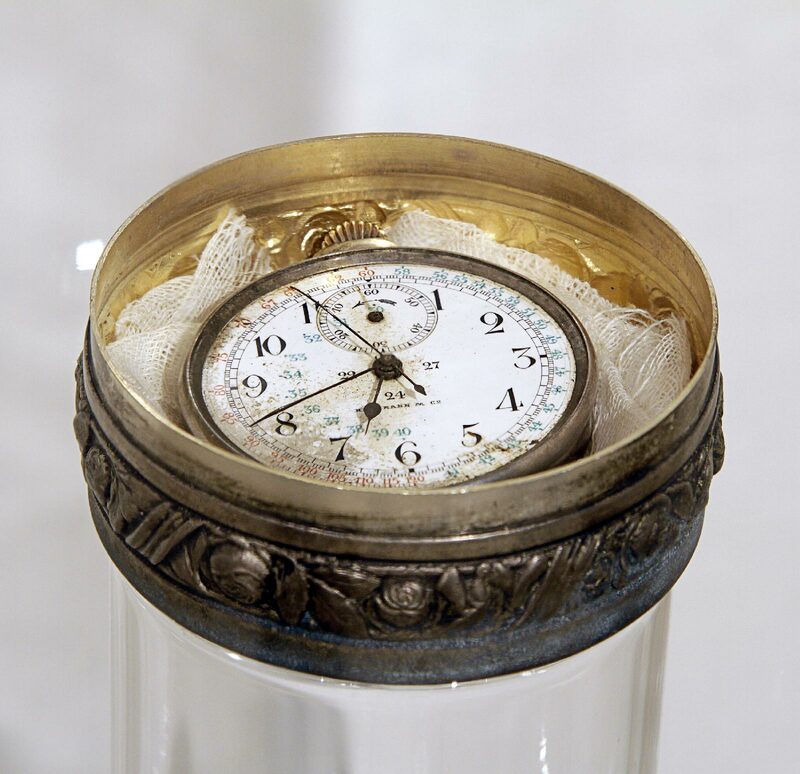 This was to prevent damage to the delicate mechanism of the watch, which was sensitive to variations in inclination. 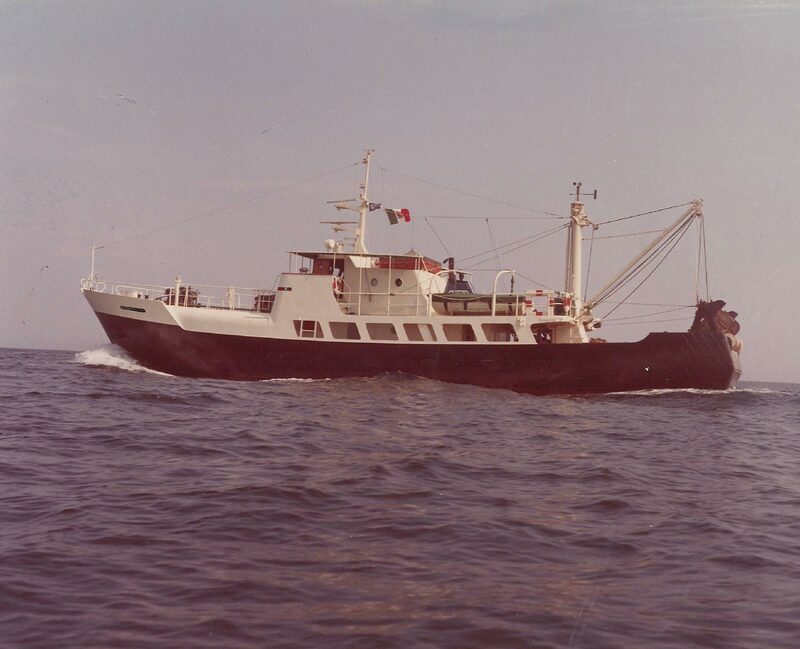 At the turn of the 1990s, Hausmann & Co. installed numerous precision time stations for Italian Navy ships. 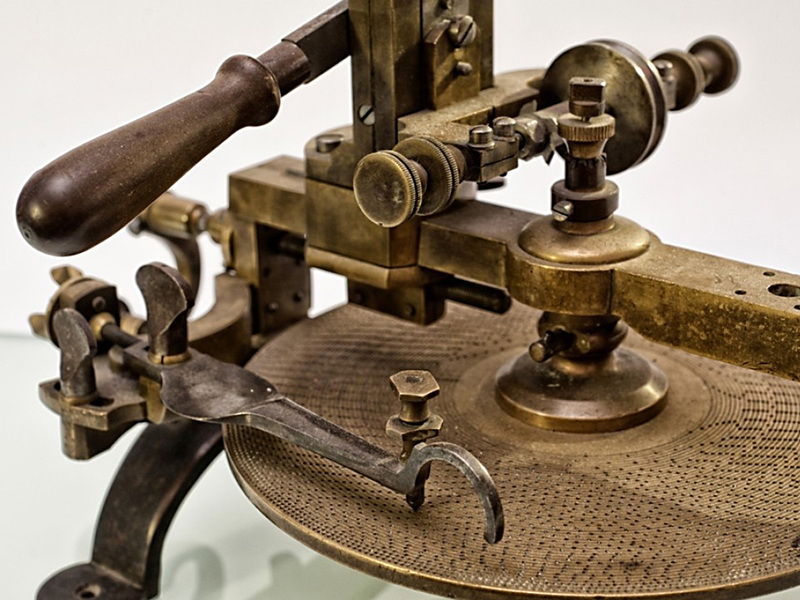 These time stations were capable of marking the exact time independently of external radio signals. 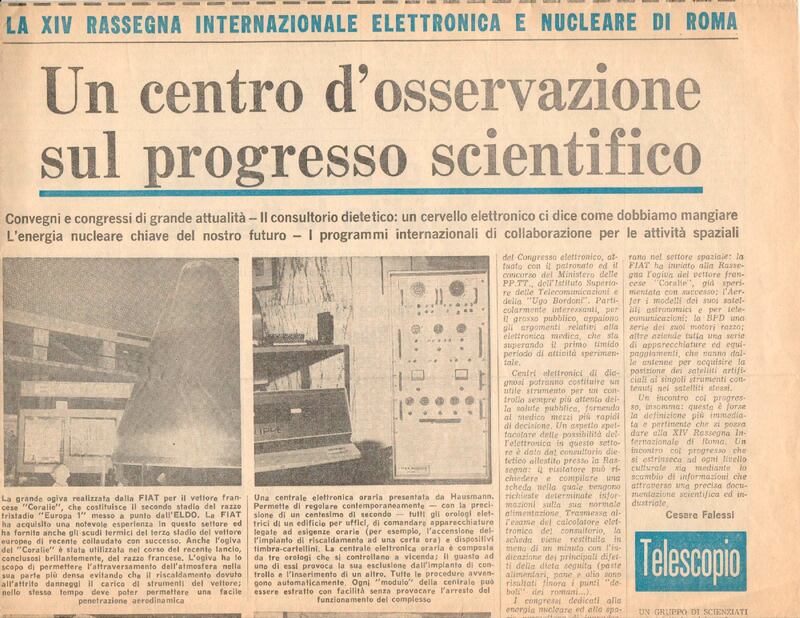 The installations also involved the "Garibaldi" Helicopter carrier and the "Cavour" aircraft carrier, as well as an atomic clock for the CNR (National Research Center) ships. 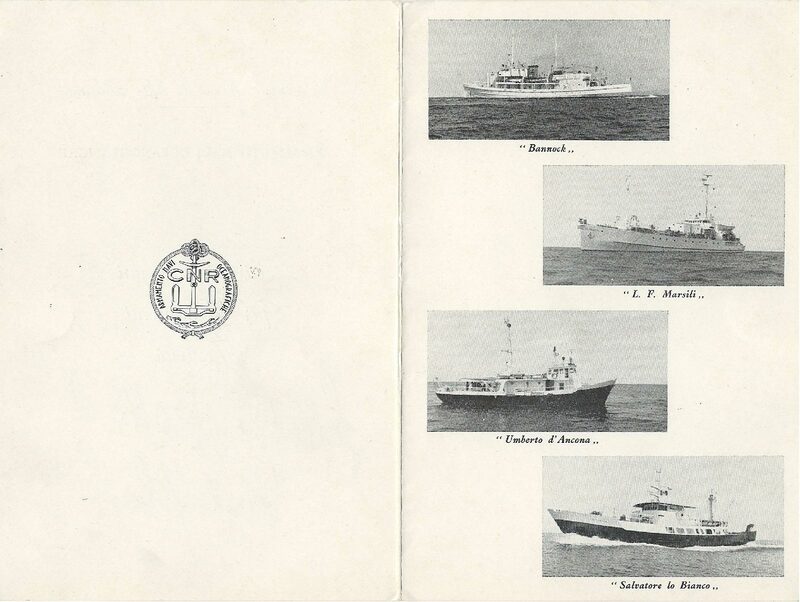 These installations ensured accuracy of one millionth of a second which was required for sonar surveys. 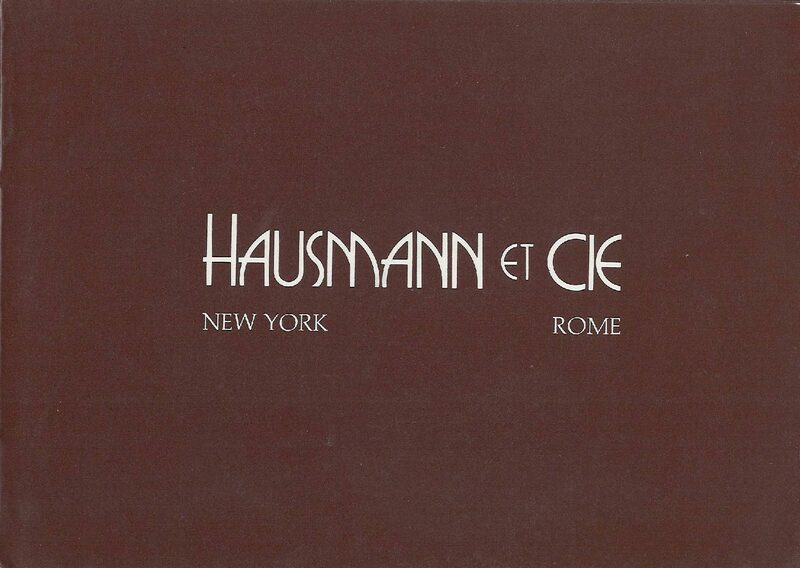 In 1994, the company Hausmann & Co. celebrated its "bicentennial" (1794-1994). 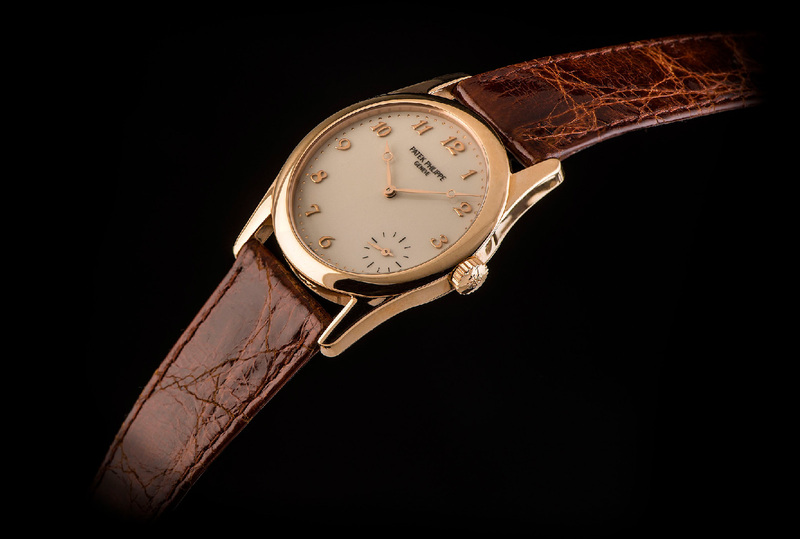 For the occasion, Patek Philippe of Geneva produced an exclusive model for men (ref. 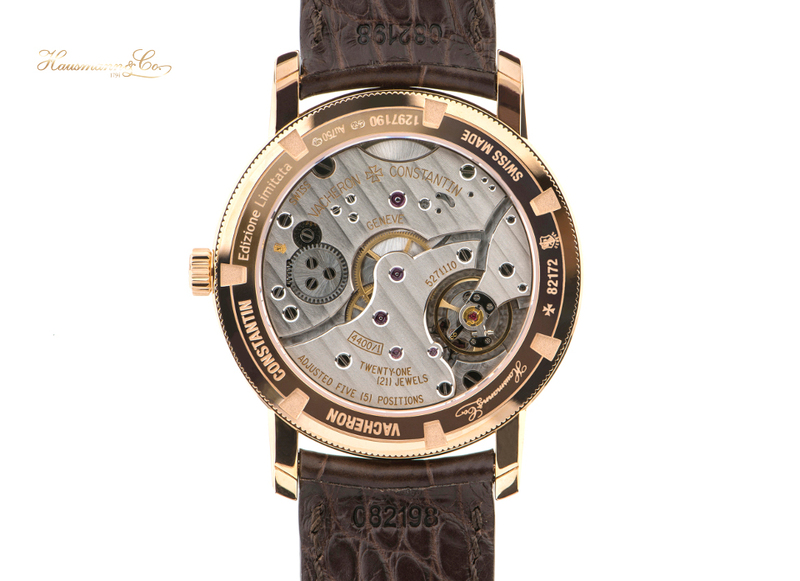 5000 in pink gold, dial and Breguet hands) with a personalised case-back. It was made as a limited edition and only 100 models were produced. 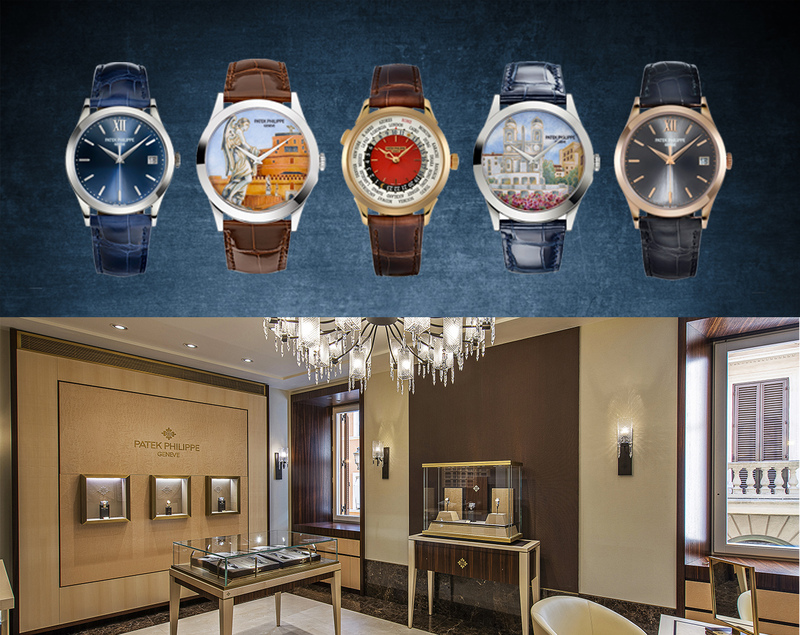 The shop in Via del Corso also presented an exhibition of the watches belonging to the Patek Philippe collection, including the prestigious Caliber 89. The Mayor of Rome Francesco Rutelli formally opened the celebrations with a reception at the Campidoglio, during which the Directors Ernesto Hausmann and Benedetto Mauro presented the volume "ROMA-MISURA DEL TEMPO", ( Rome, a measure of time) commissioned by two historians from the Besso Foundation, Manlio Barberito and Antonio Martini. During an informal occasion, Ernesto Hausmann presented Mr Nicholas George Hayek, then chairman of The Swatch Group, with the book dedicated to the bicentenary of Hausmann & Co.
Benedetto Mauro and Francesco Hausmann, Directors of the Hausmann & Co. Group, began the new season in 2001 with the opening of a shop in via dei Condotti. This shop, in the most prestigious street of the capital, consists of two floors dedicated to watches. 2010 saw the opening of the third store in Rome, in Via del Babuino. 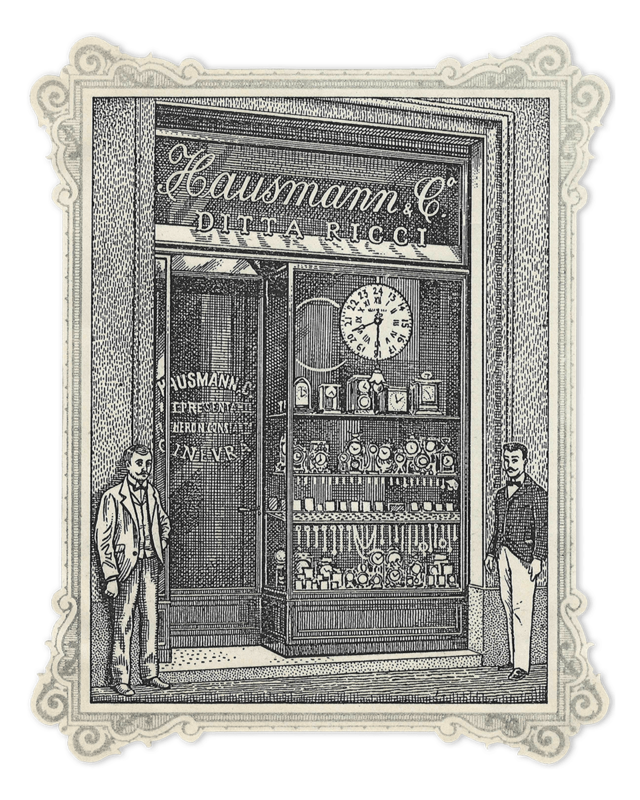 The Hausmann & Co. Group is one of the benchmarks of quality watchmaking in Italy. On the opening night, the new collection of jewellery, signed by Hausmann & Co. was presented. 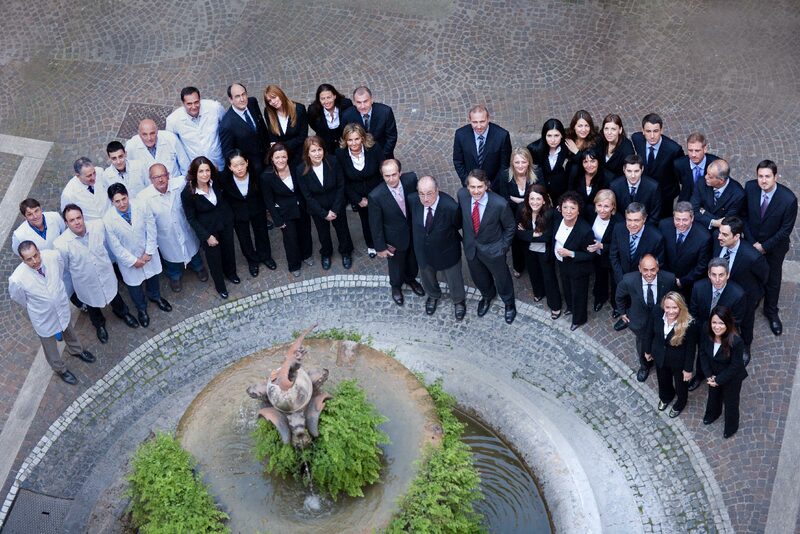 The historic repair workshop, among the largest in Italy, employs 8 specialist technicians. The workshop is constantly being updated through courses held in Switzerland. The quality of the work done is certified by numerous watch houses, including Patek Philippe, Lange & Söhne, Rolex and Swatch Group. The workshop has been located in Via del Babuino since 2011, in the rooms on the upper floor of the boutique. 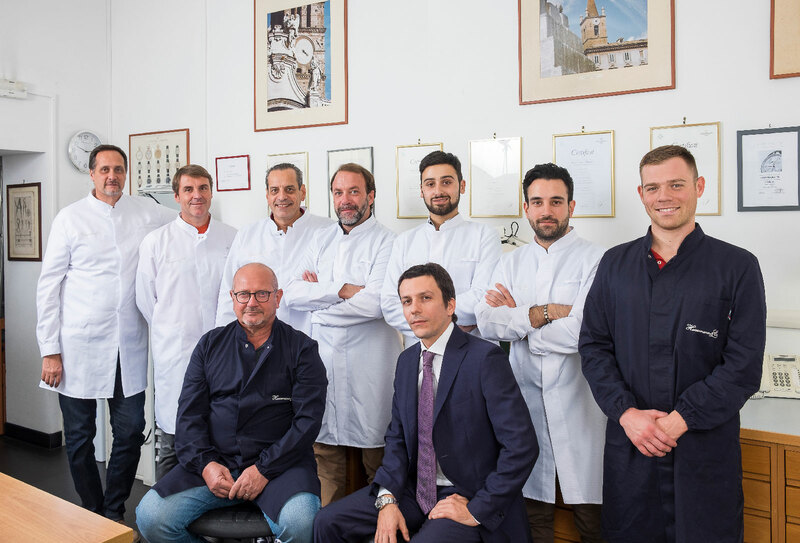 Hausmann & Co., flanked by the Maison Patek Philippe, established an award aimed at young Italian talents, based on the belief that the luxury sector should not detach itself from society but, on the contrary, has a responsibility to support it. The award supports talent and intellectual commitment whatever its form of expression. 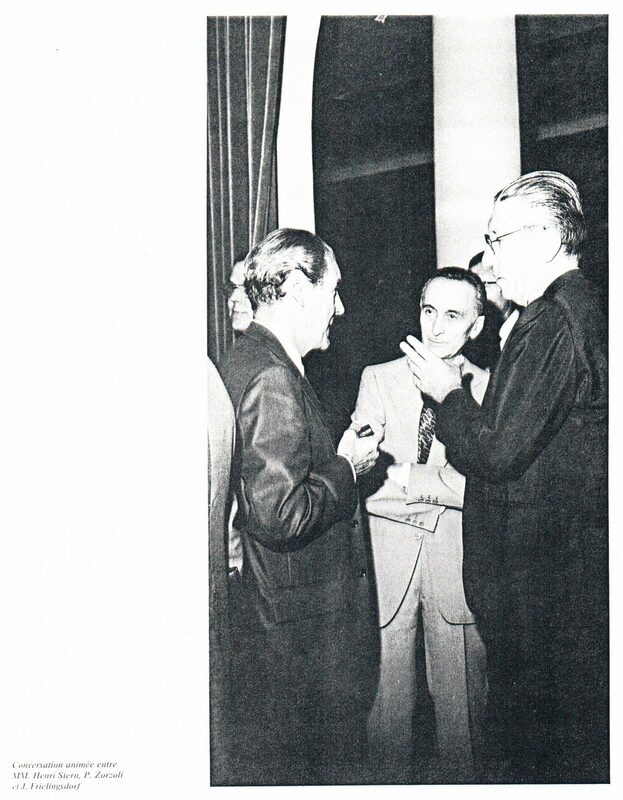 We celebrated 160 years of partnership between the original watchmakers Hausmann & Co. and the Vacheron Constantin house. It’s the most significant partnership that a house of watchmakers can boast among all the dealers in the world. This is why the "Windows on Time" exhibition was organised. 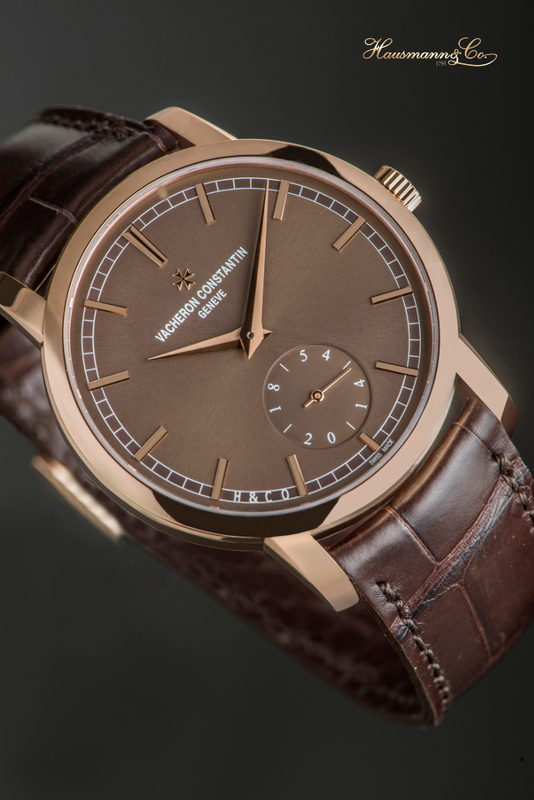 40 historic Vacheron Constantin watches, and a limited edition model of only 16 pieces were included, one for each decade of collaboration. 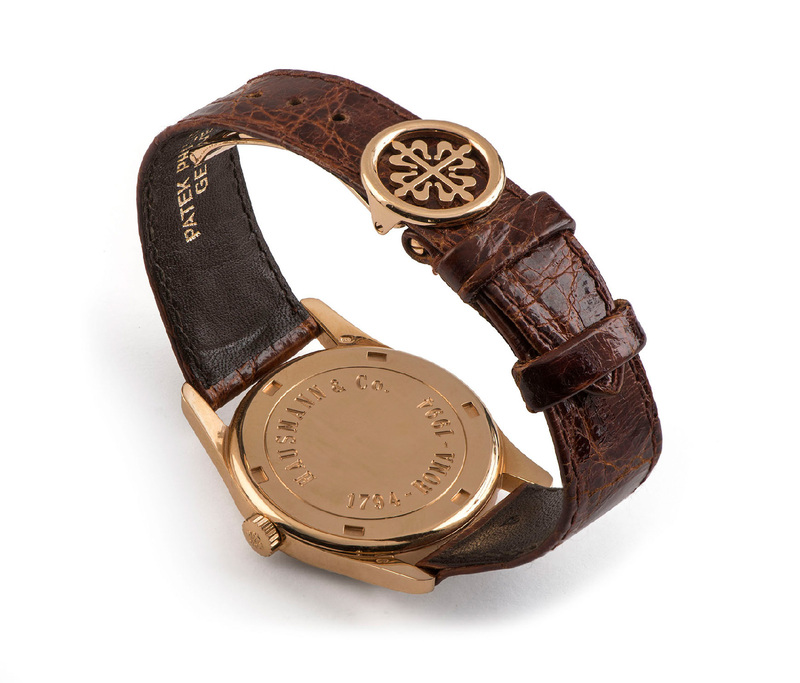 The Traditional Patrimony Watch was also presented in rose gold. Hausmann & Co. and Rolex opened its new boutique in Rome. It is located in the prestigious Via dei Condotti within the large rooms of a historic building that overlooks, not only Via dei Condotti, but also the perpendicular view of Via Belsiana. 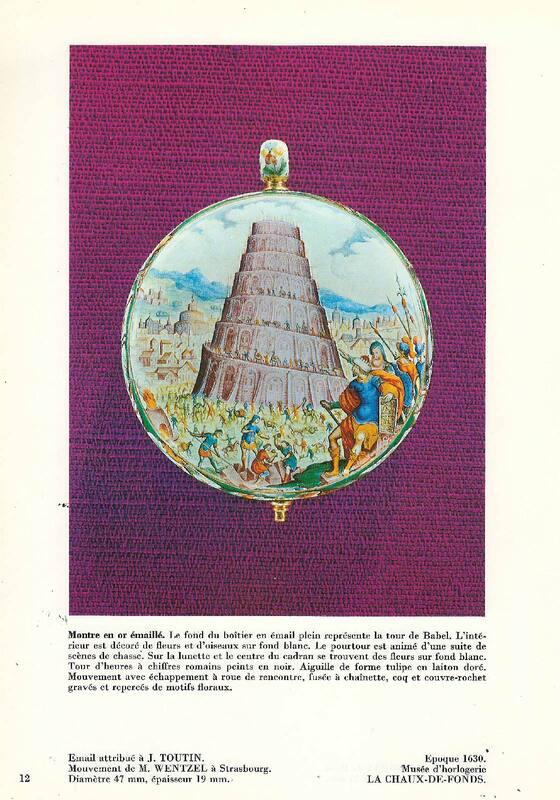 The watches of the House of Geneva are displayed in an atmosphere dedicated to the history of Rome, between travertine walls and prestigious panels, alternating between stucco and leather, representing some of the most important monuments in Rome. 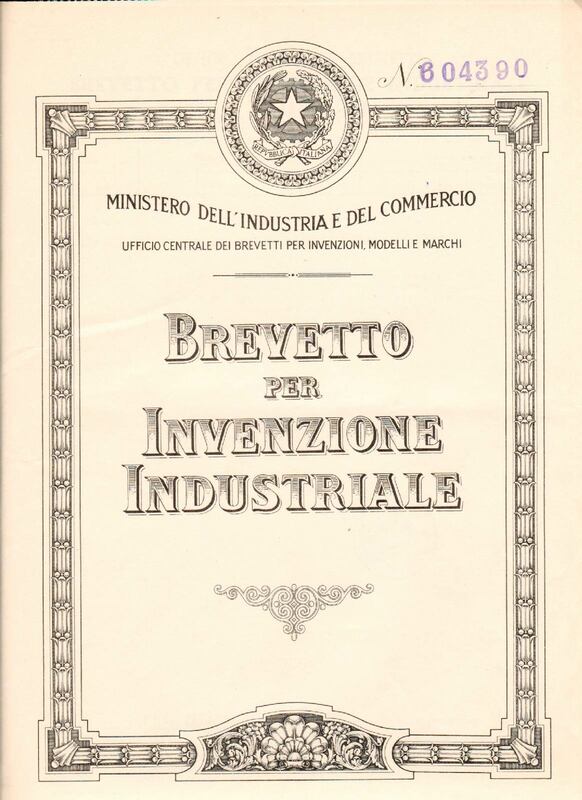 225 years of uninterrupted tradition, passing through the age of the Pope King and the making of the Kingdom of Italy, the dramatic time of the two World Wars, the economic boom and the digital age.